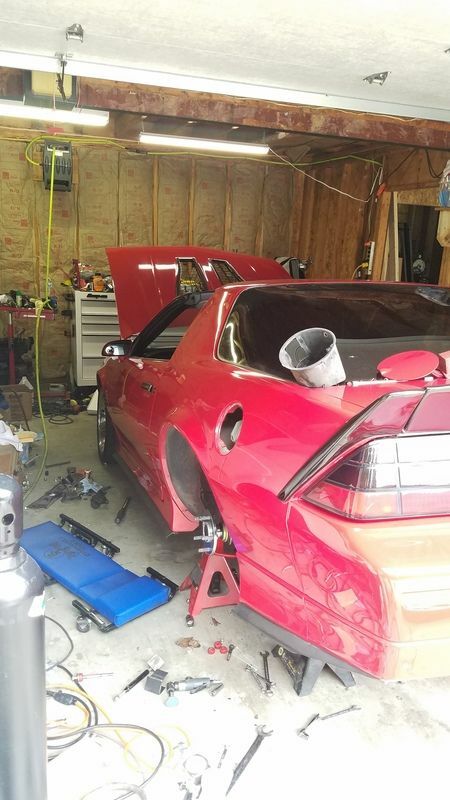 Figured I would start a build thread to help me document what I do to this car as I go. I'm terrible about taking pictures when I get busy working, so maybe this will help me out... 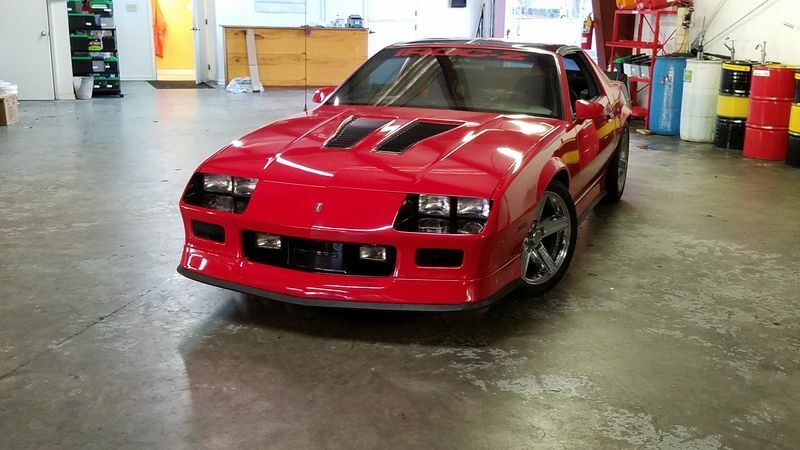 I bought this 89 IROC 5 weeks ago on a whim, with plans to make it just a nice street car that could be driven anywhere. 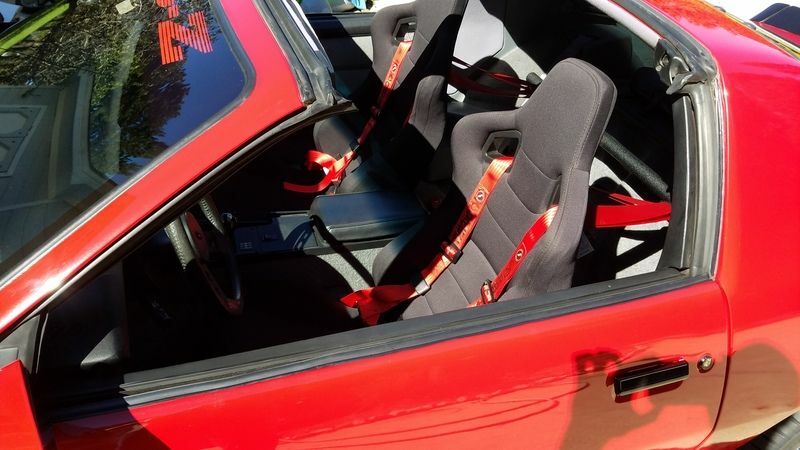 The car was already extremely clean, and had what I would consider tasteful mods. 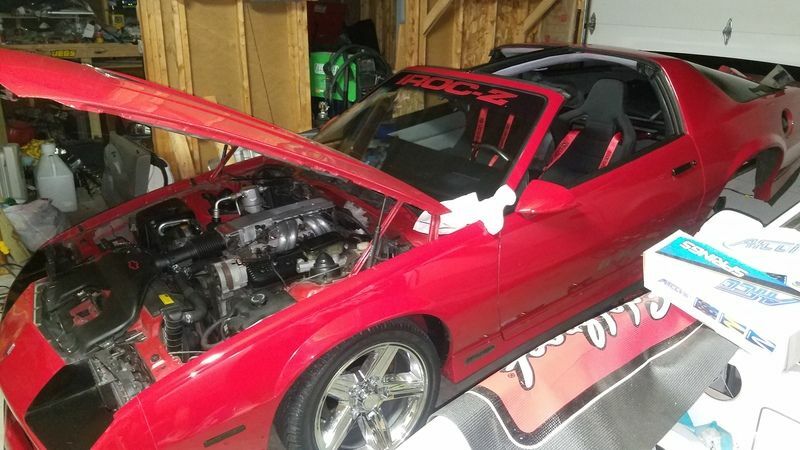 Its a 305, 5 speed. The reason I say its not a project; I already have too many of those. My goal is to keep the car driveable, with very little down time between all the stages of the build I have planned. 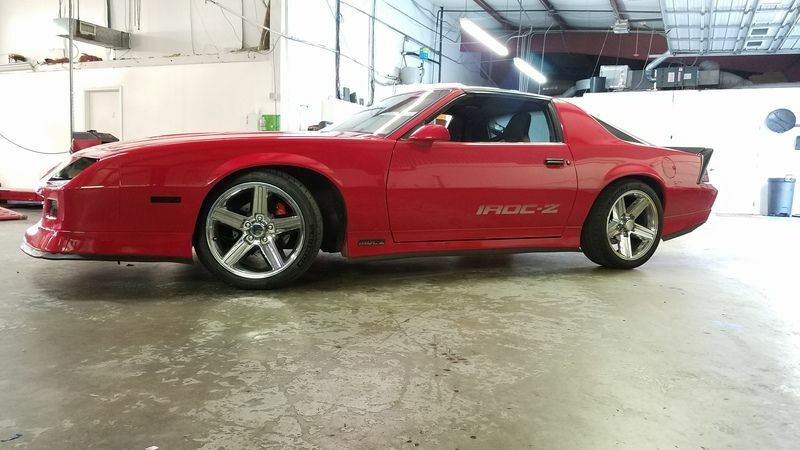 My plan: fix the small interior/exterior/underhood problems or imperfections, 9" rear, upgraded brakes all the way around, 383 speed density swapped miniram/afr headed combo. A t56 swap is planned, but at the extreme bottom of my priority list. Remember the part about too many projects? 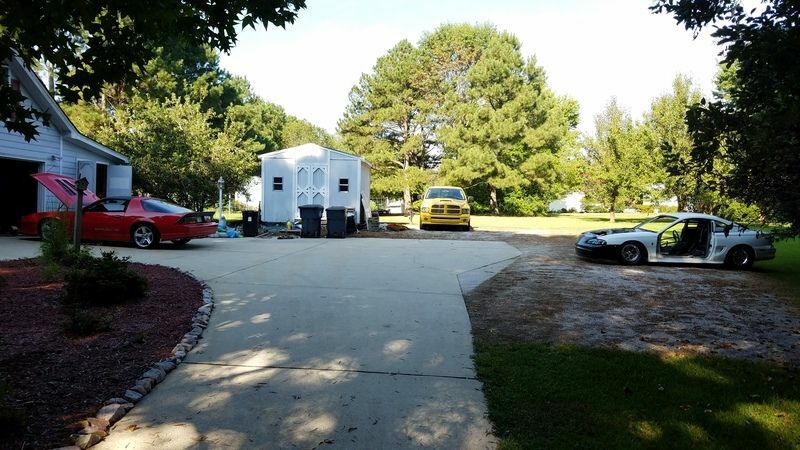 My mustang project got kicked out of the garage, and my GTA is hogging up the other half of my garage. 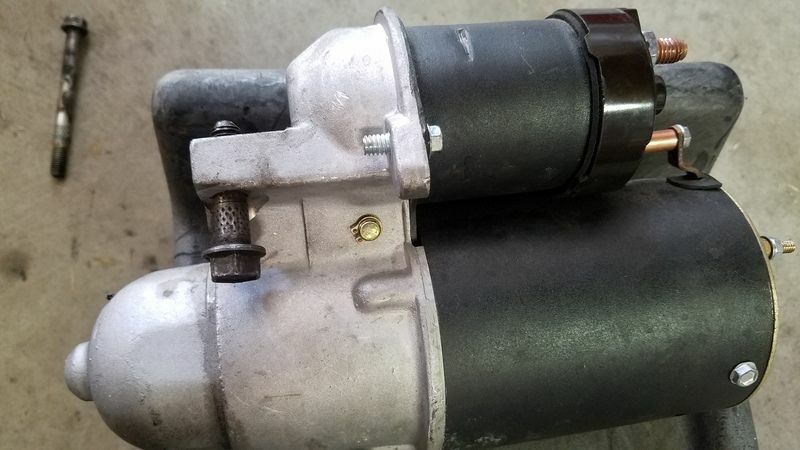 The first order of business, an unexpected one, the starter had recently been replaced, and the bolt holes were too small for the knurling on the bolts to pass through. It caught my eye as I was going over the car for the first time when I got it home. 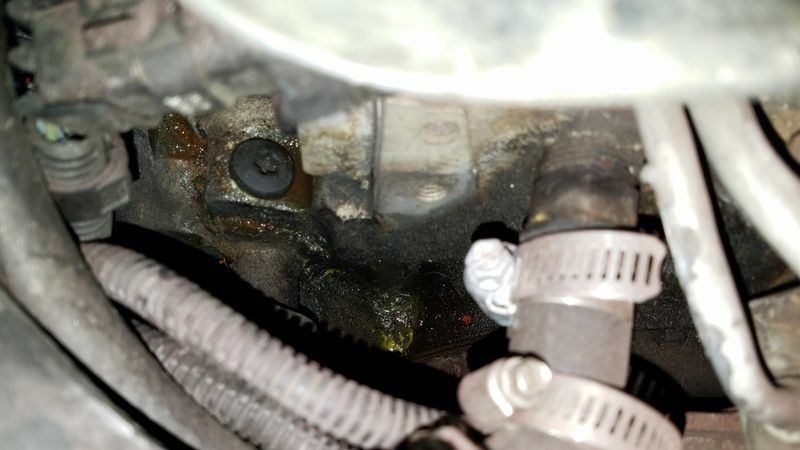 The threads you see sticking out were all that were holding the starter on. 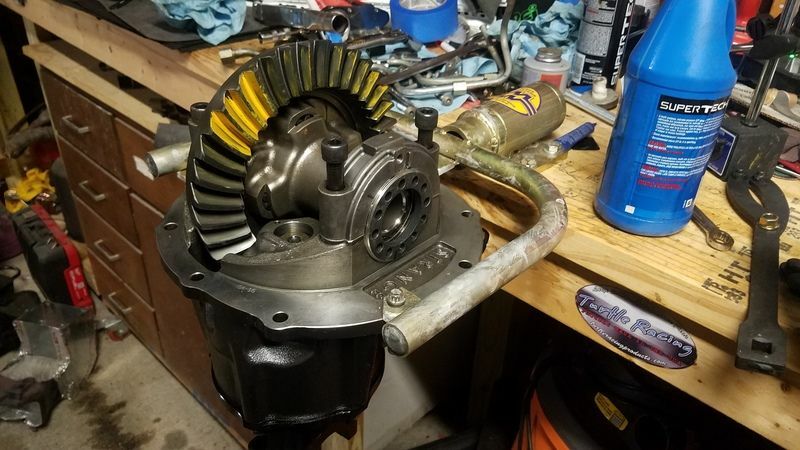 I swapped in a racing mini starter. Second repair, a new blower motor. Had to be tapped on to work, downright nasty once I got it off. I also cleaned out the hvac box when I had it apart. 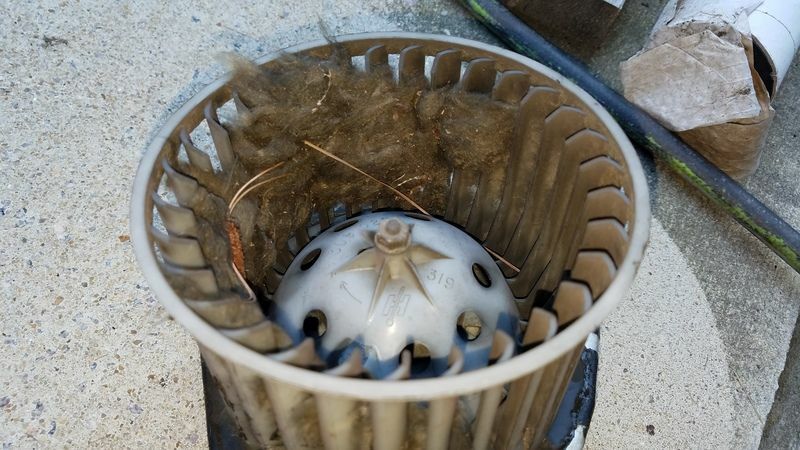 The previous owner had removed the fog lights and installed some cold air ducts to the air filters. I imagine it supplied plenty of air to the filters, but I found out that over 65 mph, the car would run hot. 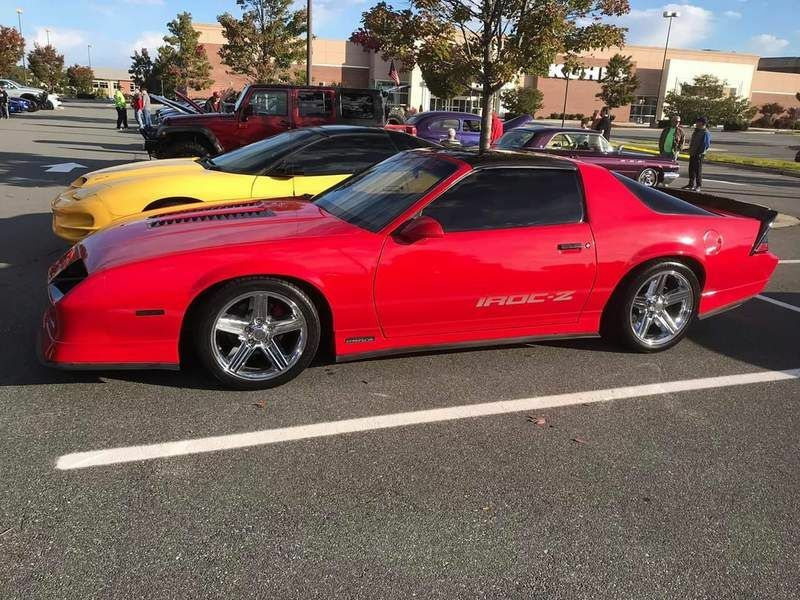 I ditched the ducts, found some NOS foglights, and factory radiator ducts from another member here. 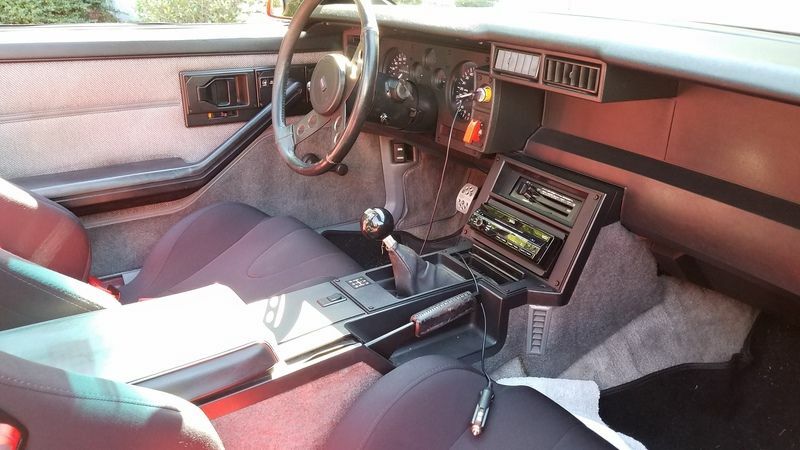 I also bought a new dash pad to replace the original cracked one, replaced the outside door handles (springs were broken), and aligned the passenger window as it had an 1/8" gap between it and the weatherstripping. 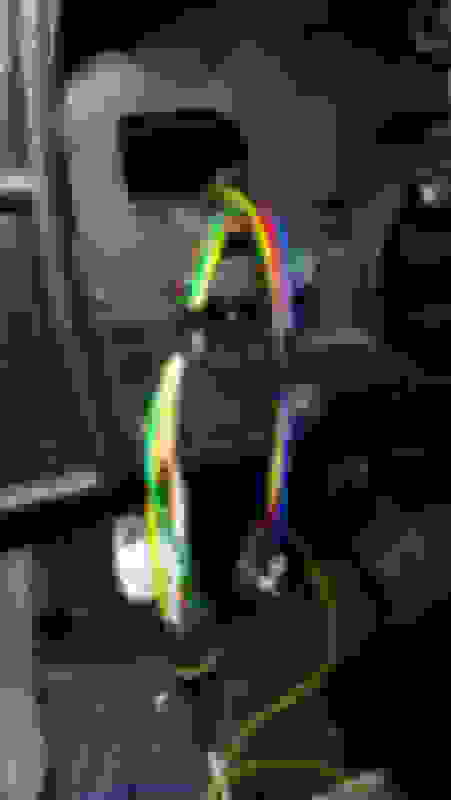 Last edited by GTA matt; 10-14-2018 at 03:39 PM. With many of the cosmetic and small problems handled, I began the next phase of the build, the rear and the brakes. Rear is a Burkhart fabricated 9" housing, completely overkill for what I have planned, but totally awesome and I just happened to have it laying around lol. Center section is a strange nodular, with an eaton trutrack, 3.70 gears and strange 31 spline axles. 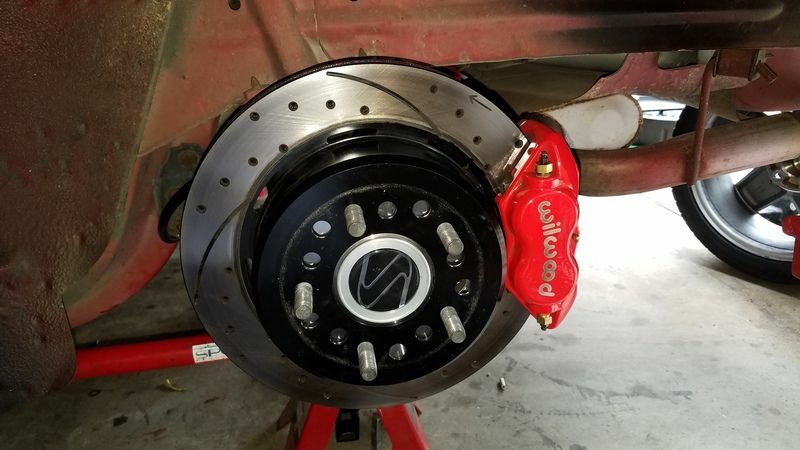 Brakes are wilwood dynalites all the way around. 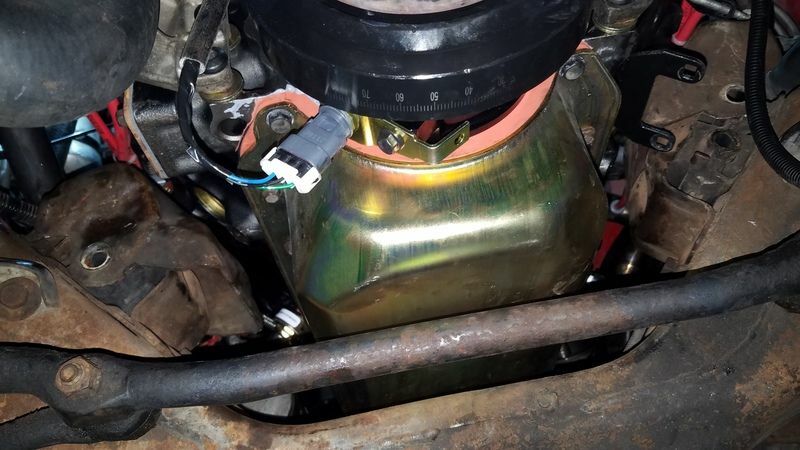 While the rear was out, I dropped the gas tank and installed a walbro 255 pump. I am a perfectionist when it comes to brake lines, I gave this one my best effort. 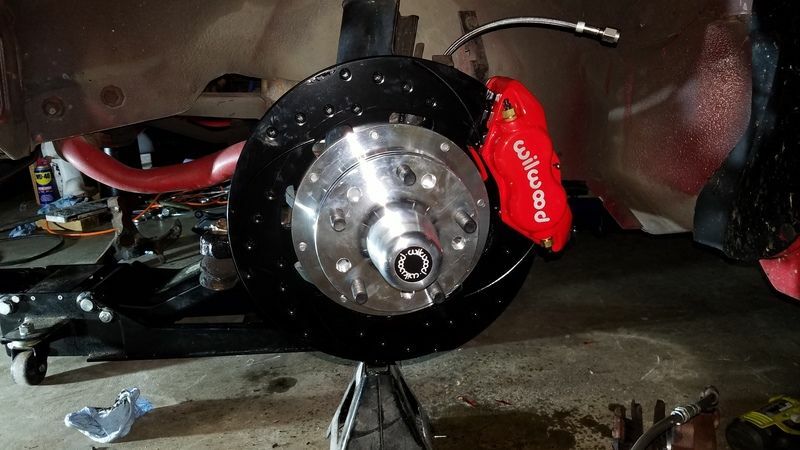 Front rotors are 3 piece, cut the ears off the spindle for the original calipers, drill and tap 2 of the original dust shield bolt holes for the new caliper brackets. 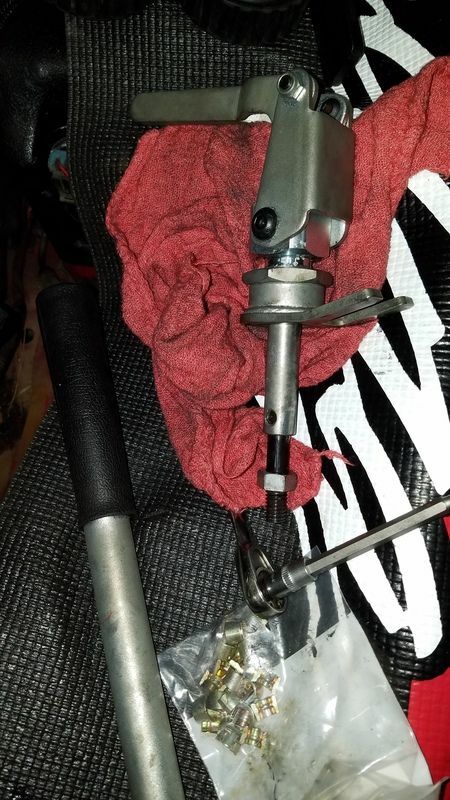 I used a Lokar parking brake cable kit, attached it to the original parking brake balance bracket. 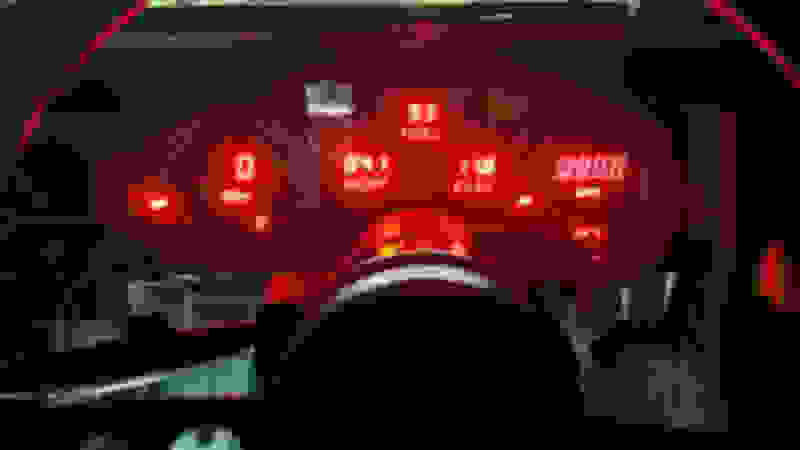 The tires on the car were 9 years old! Replaced them with some Michelin pilot sport 4s tires. I have to say that these tires feel amazing!!! 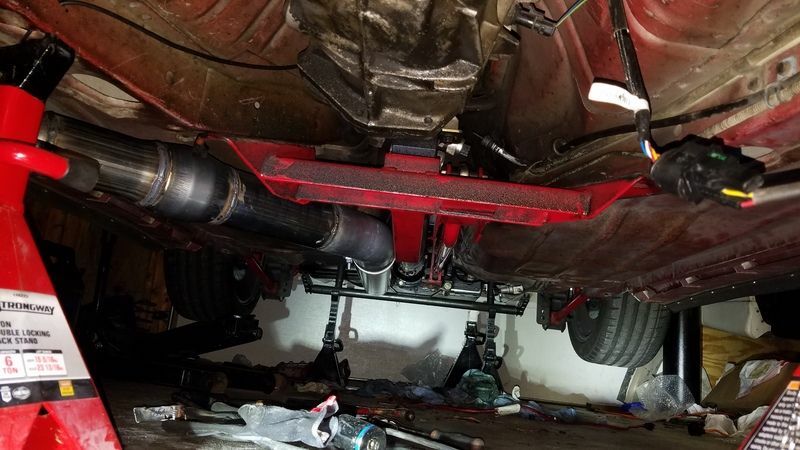 Since the axle tubes are substantially larger then the 7.5, and the spring perches sit on top of the tube, the rear of the car would have been raised up at least a half inch, it already had more rake to it then I wanted, so I cut 1 coil off the springs, giving it a half inch of rake, front to rear. 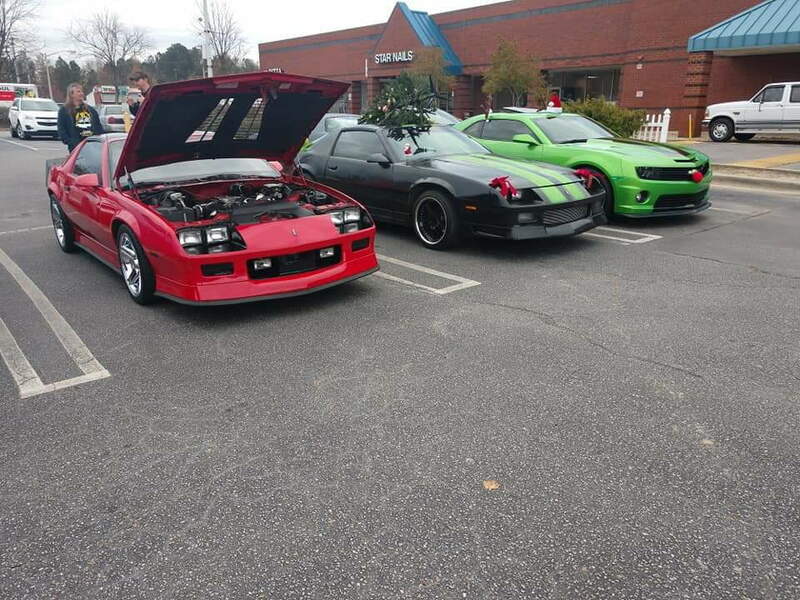 All that brings me up to yesterday, drove the car for the first time to a cars and coffee in Raleigh. Car drove excellent, and it really felt rewarding that all my hard work in a short period of time was successful. 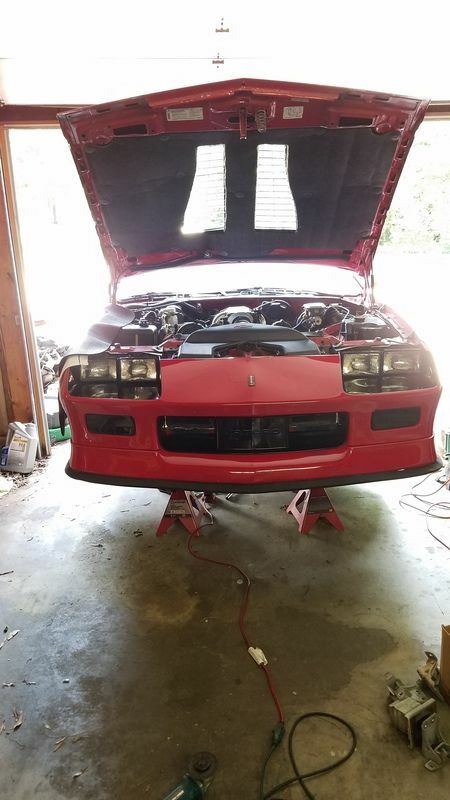 Over the next few weeks I'll be assembling the engine, getting the wire harness ready and working on a tune so that the engine swap will be a simple out and in process, although I'll probably take some time to clean and paint everything under the hood. Good looking car. 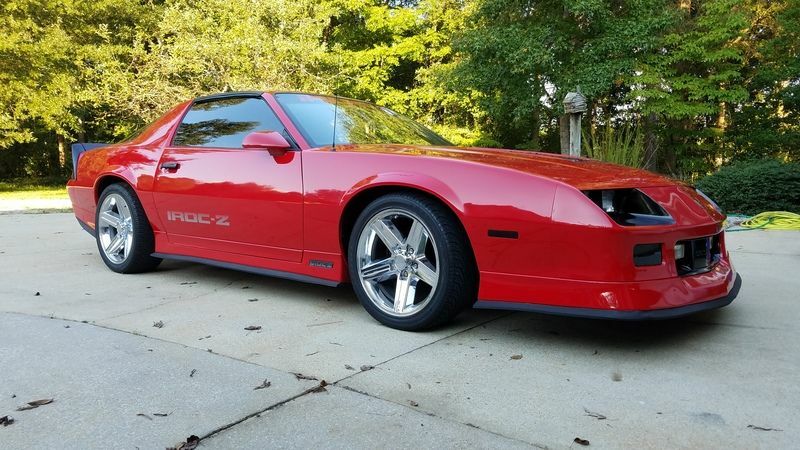 I get so sick of seeing chrome Iroc’s on every other vehicle. They still look great on 3rd gens though, one of the best looking wheels. Thats clean AF. The only thing I don't like it the way you have the tail lights tinted... looks like an after thought. A full red set of grids would look perfect. Otherwise I love everything about it. 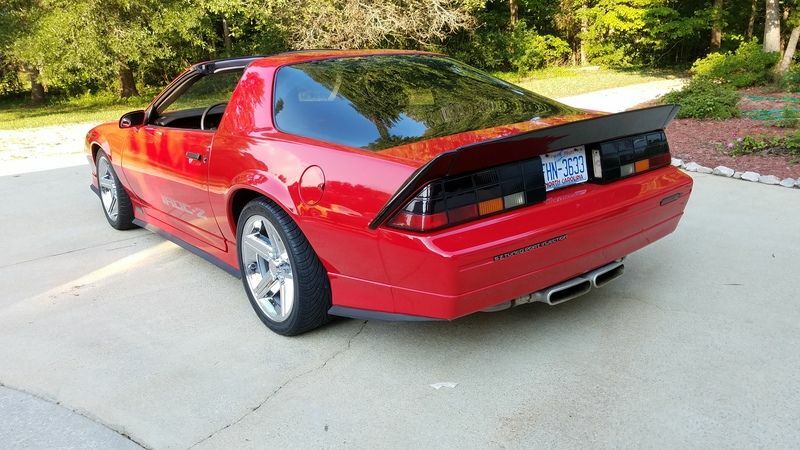 I'm not a fan of the tail lights either. They were like that when I bought it. Not high on my priority list, but if I run across a good set, I'll scoop them up. 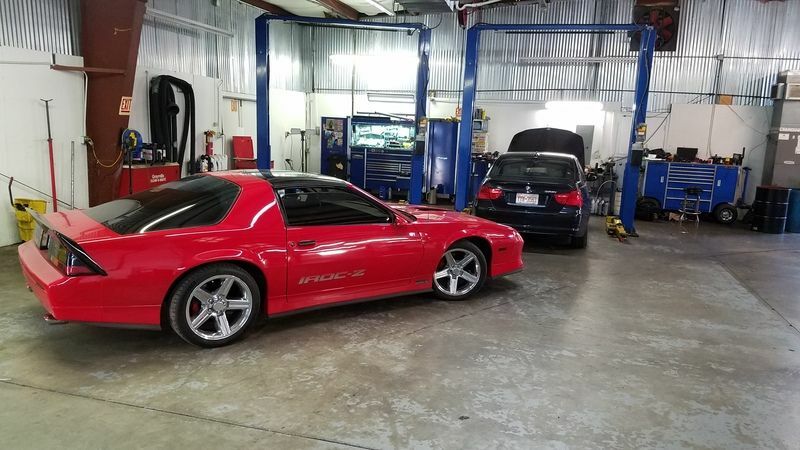 Taking a good car and making it better.. I like it! Nice work thus far! ....I think I saw that car kickin around the local classifieds. Nice! I like that car! I love the black trim around the bottom of the ground effects.....it looks like it's almost SUPPOSED to be there. 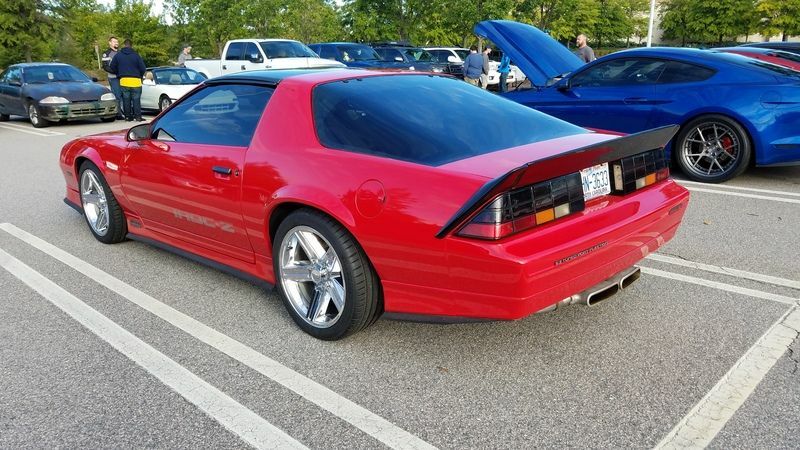 All I'd change is the tail lights and paint the rear spoiler red, but that's just me. Great car man! 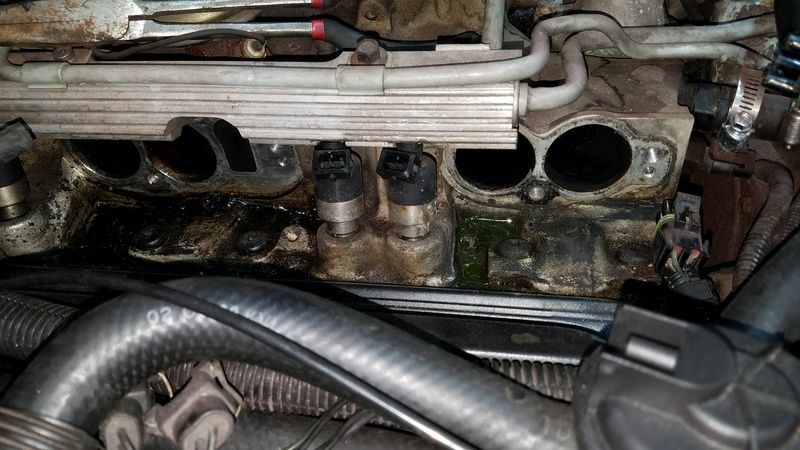 I've been putting it off since I bought the car, I noticed it had a small coolant leak at the corner of the intake gaskets. Was just a small trail, not a big deal, but the more I've been driving it, the worst it has got. I'm taking the car on a 500 mile trip next weekend and would sure hate for it to cause a problem, so I went ahead and knocked it out today. It's almost comical, all my parts have been ordered for the new engine, this one won't be in the car in another 2-3 weeks.... I've had a small change of plans, mostly on the engine management side. The engine will be an 11:1 383, forged rods/crank/pistons, AFR 195's, comp 292/300 cam, miniram intake, dyno Don headers. I was originally planning on swapping in my '730 ecm and harness I've got sitting on my shelf, I still have all my moates chip burning stuff, but I instead decided to go with an efi connection 24x setup, with a fitech LS ecu. 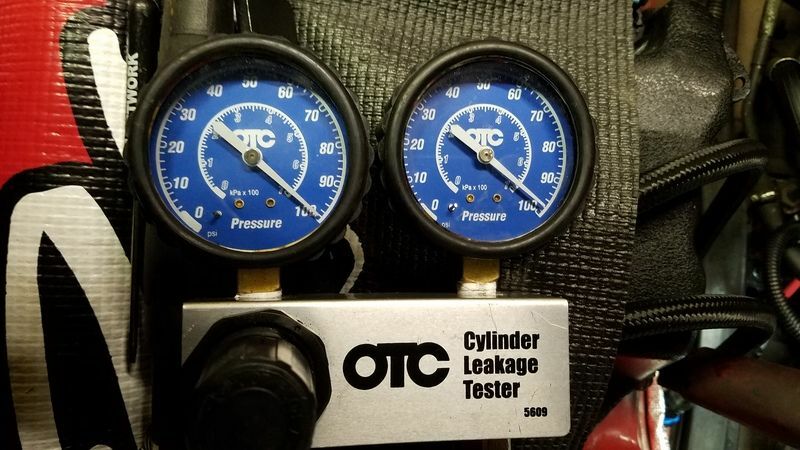 Overall it will be an easier and cleaner install, with better tuning, sequential injector firing and individual coils. Really interested to see how this will work out. Inside of engine was surprisingly clean. I really didn't know what to expect since the car has barely been driven over the past ~10 years. More progress, parts are actually coming in faster then I was really prepared for. 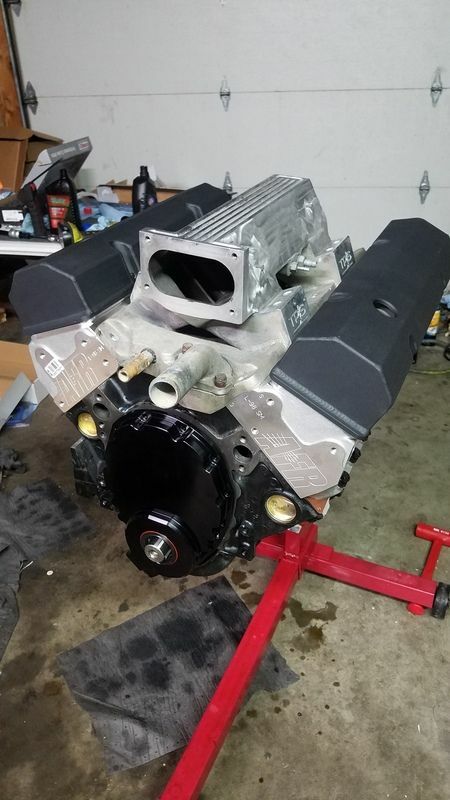 Block, rotating assembly, cam and efi connection 24x setup came. Block is a .030 4 bolt main summit block. I'd heard mostly good things about it and figured I would give it a shot. Looks great, and all clearances are spot on. 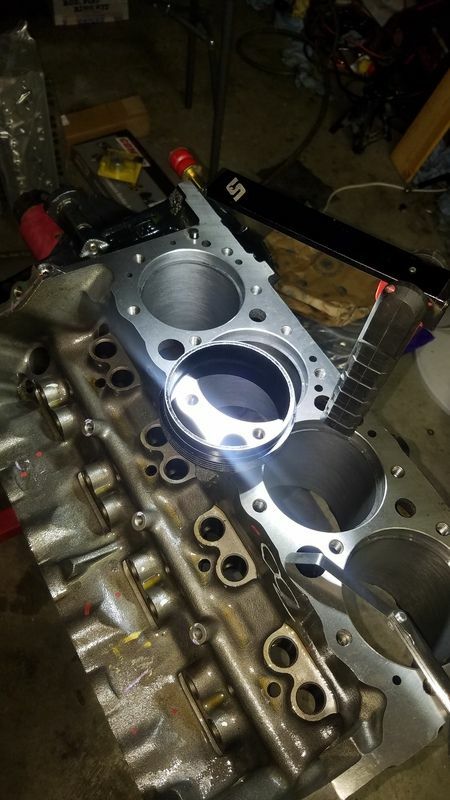 I measured deck height and ordered the appropriate head gaskets, assembled the pistons and rods and began gapping the rings. Its going to be a very boring next few nights in the garage, filing the rings is extremely time consuming and tedious. 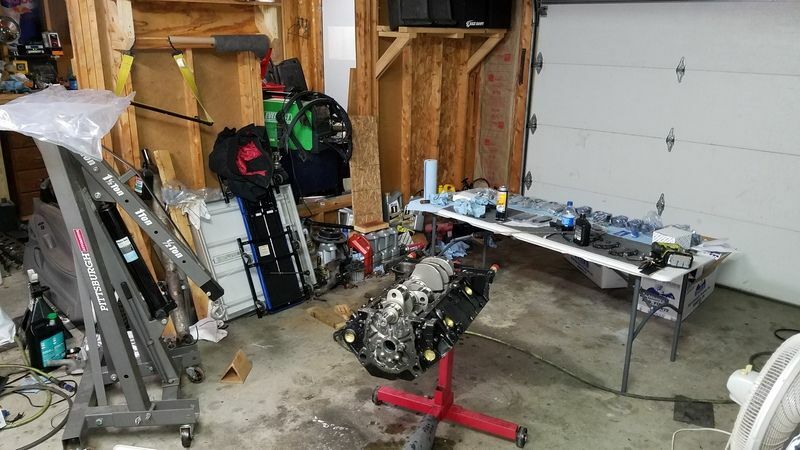 My weekend road trip plans got canceled due to the weather, which gave me time to get this engine together. 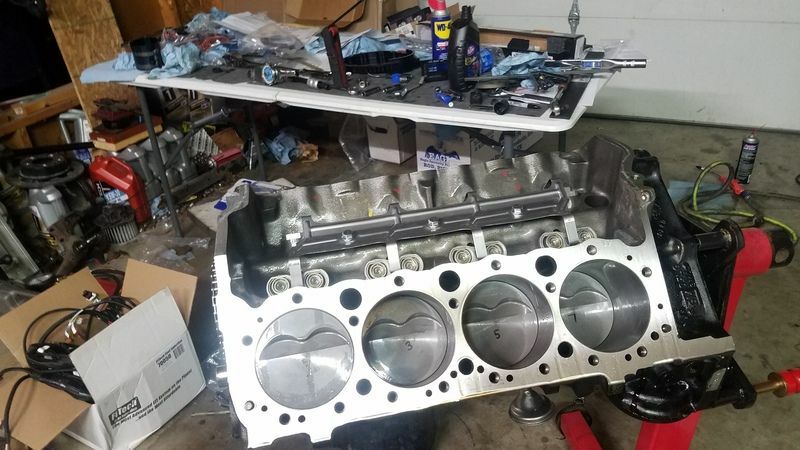 I got the long block together and measured for pushrod length, which are now on order. 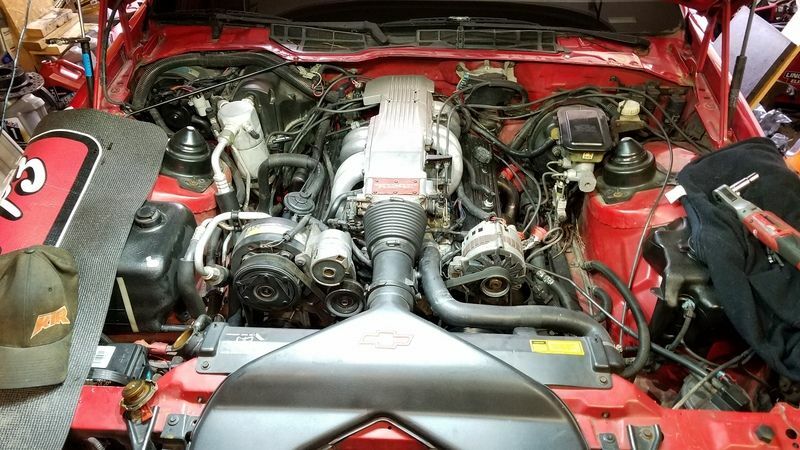 Engine details, for anyone curious or following, 383, AFR 195 heads, comp xfi 292 cam, LS7 lifters, comp gold rockers, eagle forged crank, eagle forged 6" rods, mahle forged pistons. Compression works out to 10.9:1. I popped the valve covers on to keep any dust out, checked the fitment of the intake. 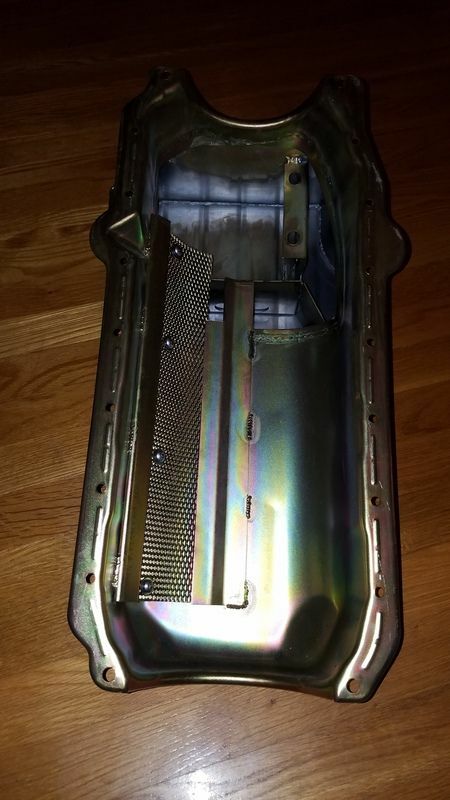 I polished the intake 10 years ago when I had it on my GTA. Sitting on the shelf for the past few years wasn't kind to it so I'm taking it back down and polishing it up again. 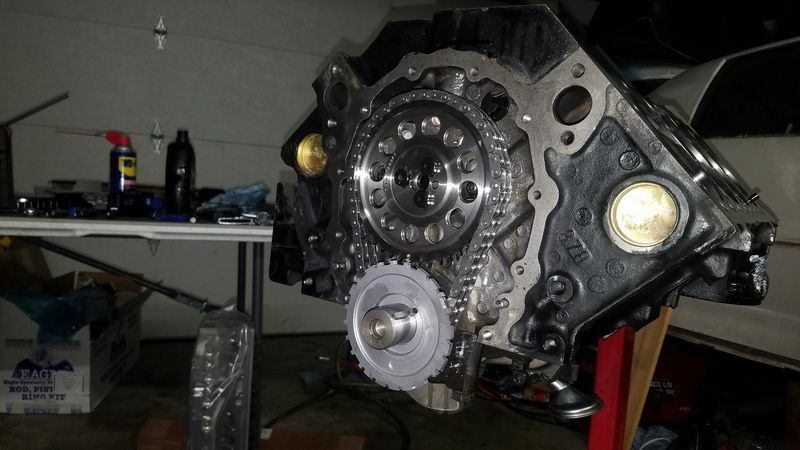 Still waiting on a few odds and ends, gotta get if off the engine stand so I can get the rear main adapter on it, bolt the oil pan on, flywheel, clutch, etc. 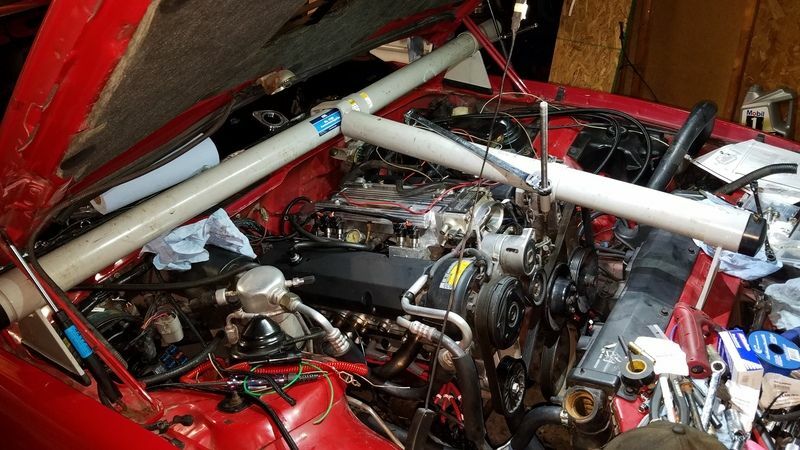 More progress, went to a local cars and coffee sunday morning, pulled the 305 out last night, removed the factory wiring harness, plopped the 383 in tonight. The engine harness and part of the body harness are one unit, so I have to take it apart and separate what I need and reinstall it so it looks factory. I need to re-pin the fitech ecm connector for my firing order, lengthen a few wires and swap a few terminals on some of the sensors. Overall it is coming together nicely. Its garage door weatherstripping. I never would have thought of it myself, but it looks pretty nice and the previous owner did a good job putting it on. Still coming along, a few hours after work at a time. 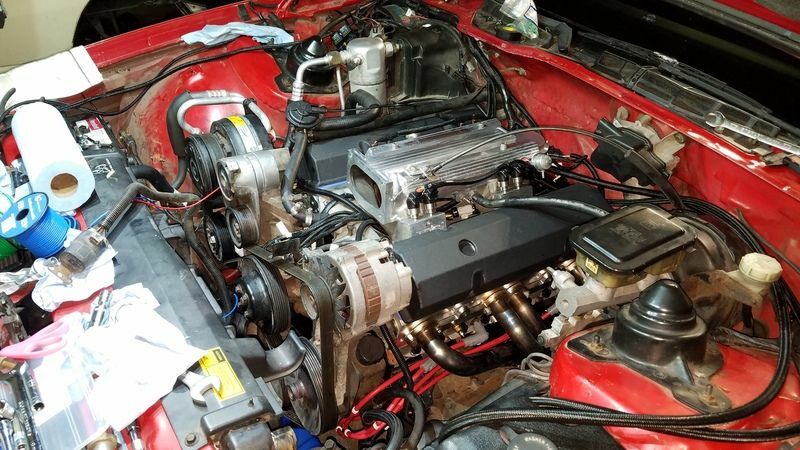 Engine harness is ran, swapped pins on the injectors and coils for 2,3,4 and 7. If I had of thought about it beforehand, I would have got a cam ground with the LS firing order. ECM is in the stock location under the dash. 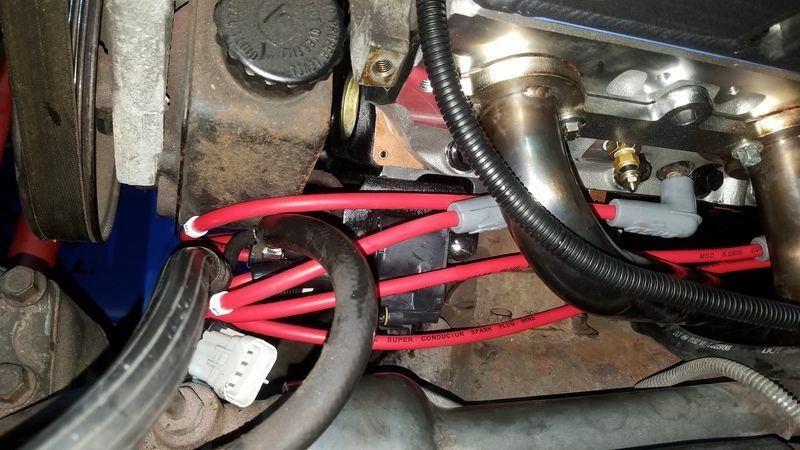 Shortened the injector wires for cylinders 1,2,5 and 6 to fit my fuel rails, extended the ckp wire and changed the wire locations from the LS to the L31 crank sensor. Same with the cam sensor, reference voltage, ground and signal return are on different terminals. The actual connectors are the same. Changed the TPS and IAC connectors over to the TPI connectors. 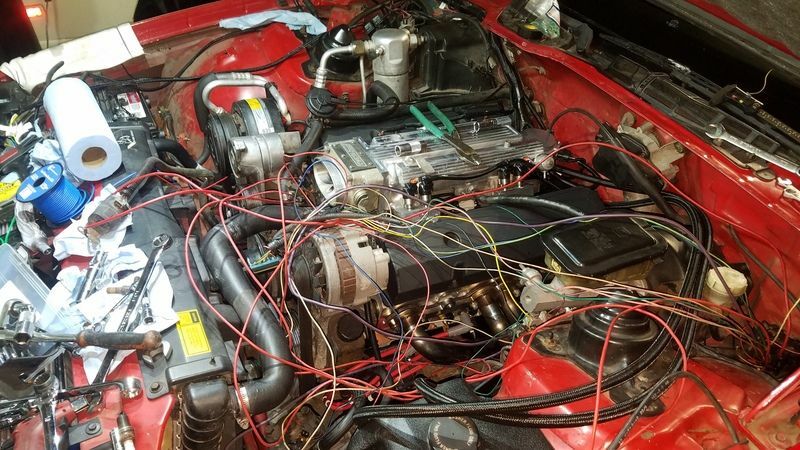 Ran all the wires under the intake. The engine bays are pretty busy on these things, especially the passenger side, but I'm doing my best to keep it looking clean. 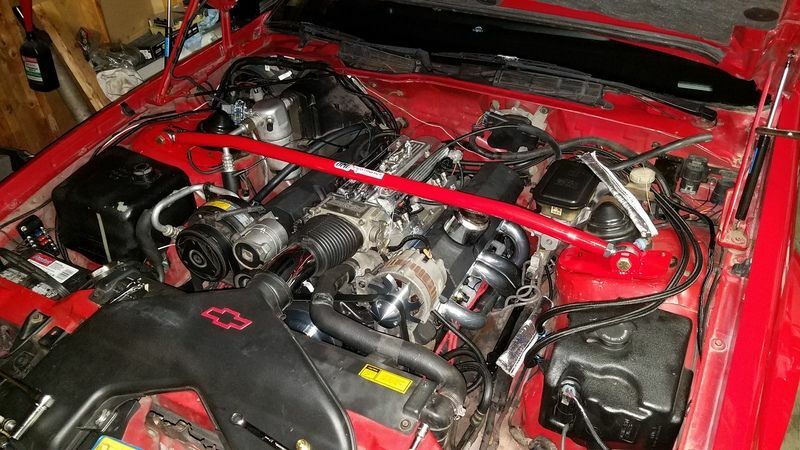 I'm using 96-97 LT1 knock sensors, located in the block drains, where the stock sensors would go, extended a 5.3 knock sensor harness to reach. I wish I had your energy and enthusiasm! You have got a lot done fast. Car looks amazing. Well done. Any close ups of the garage door ground fx models? 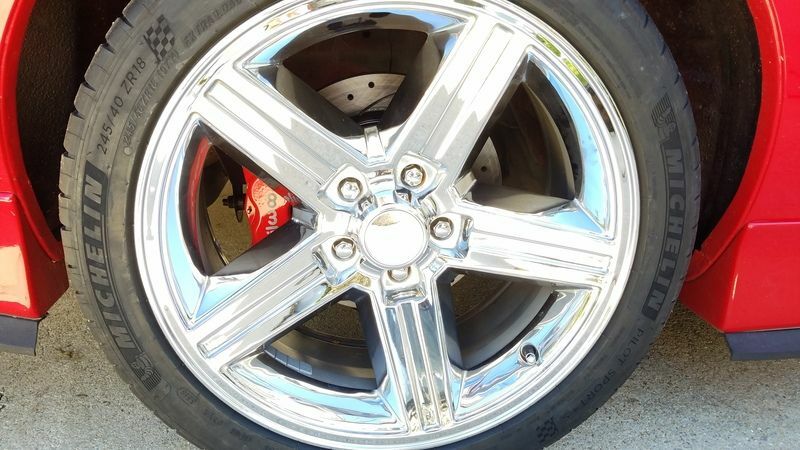 Also, do you commercially sell fabricated 9 inch rear ends? I'll get some pictures tomorrow. I only build center sections, not entire housings. 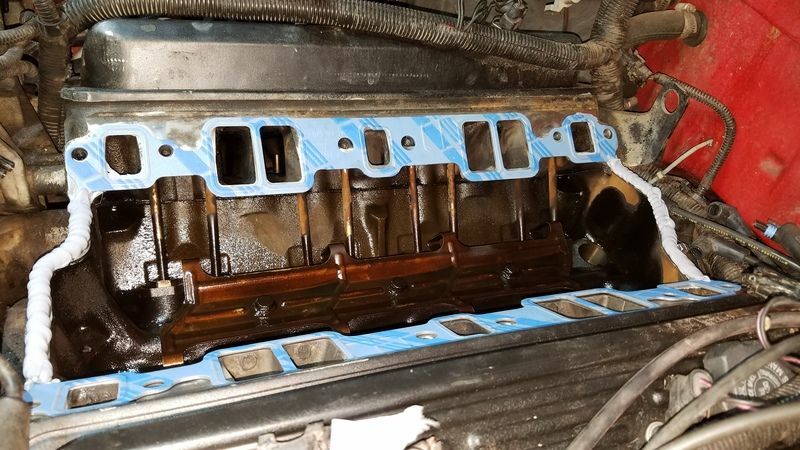 I thought I had the oil pan clearanced enough, but I should have never put the thing on this engine. 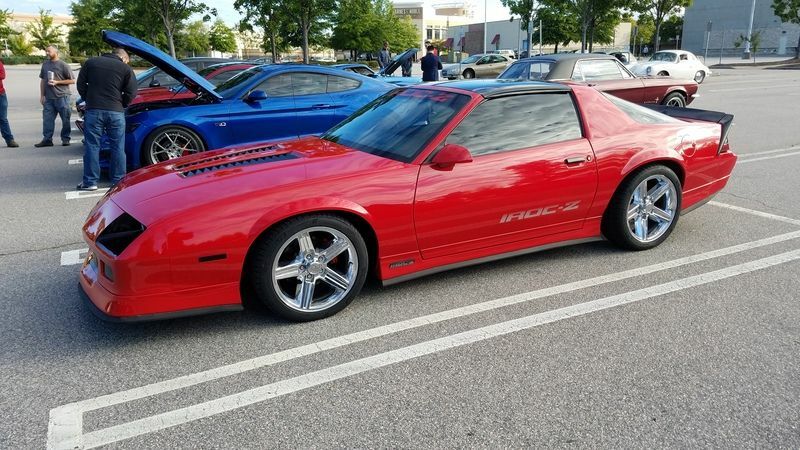 When its running, I could just barely hear and feel the #7 rod touching the oil pan where it turns in near the oil filter. I gave up on trying to persuade the pan to move for me and ordered a new pan. 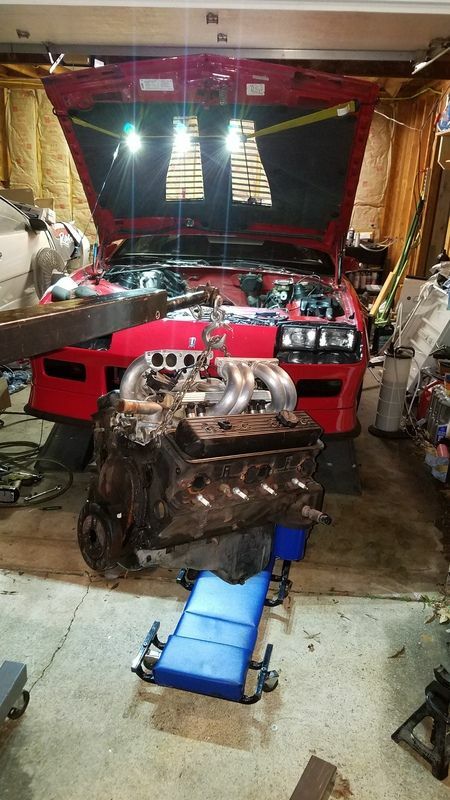 Since I've gone overkill for no reason on everything else, the same went for the oil pan. Sometimes I question my sanity. I got a Canton road race pan made specifically for third gens. Its a good looking piece, trap doors and all sorts of gizmos inside that I don't need. 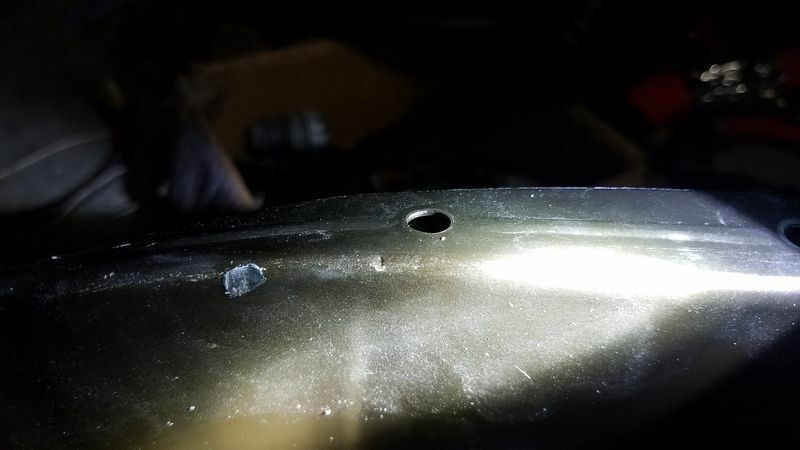 I tried pulling the old pan in the car, if it was an auto, it would have come right out, however, I need another half inch of clearance that just isn't there due to the bellhousing. 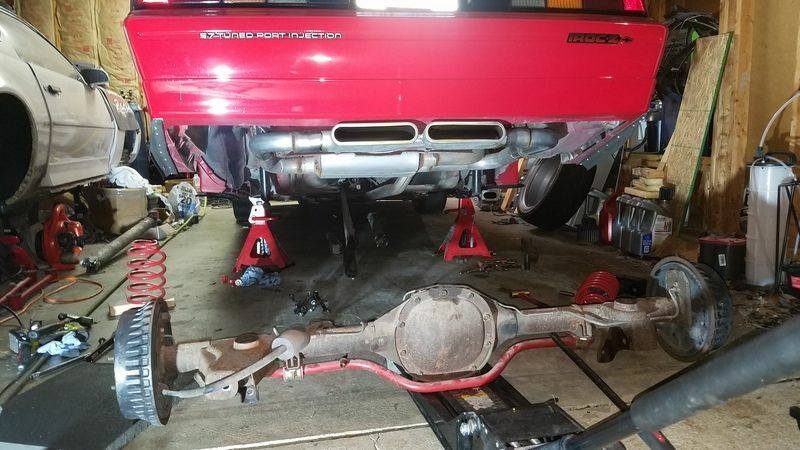 I'm hoping that if I separate the transmission, I'll be able to get it up high enough with the cherry picker without taking too much off of the engine. I've deleted the hot water valve, it was just plain ugly sitting on the valve cover. If it turns into an issue with the ac next summer, I'll come up with an alternative. Shortened pretty much all of the body harness and main power wires trying to clean up how busy it looks under the hood. 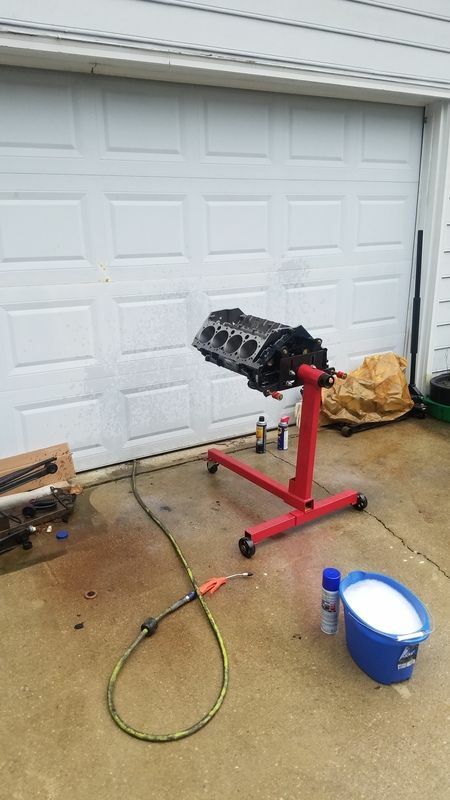 If you had been hanging around in the garage with me earlier, I may have given the thing away For anybody googling 'can you remove the oil pan from a 5 speed camaro in the car? ', well, you can, but it requires a certain amount of skill, determination and patience. 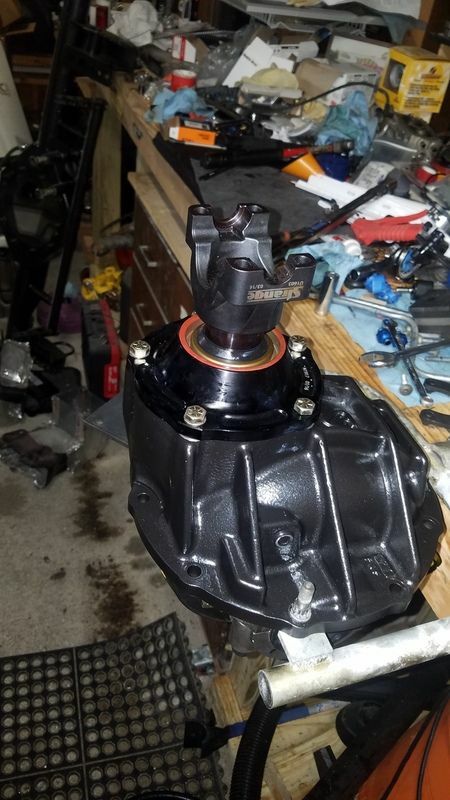 I removed the upper motor mounts from the block, took the bellhousing bolts out and installed longer bolts from my engine stand. 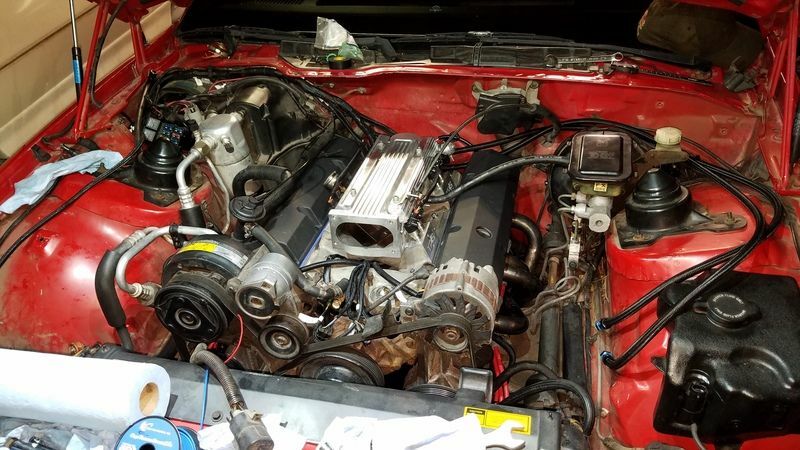 Raised the engine as high as I could, separated the engine and trans, and then had to raise the transmission. The good news is that the Canton pan went in much much easier due to its design. 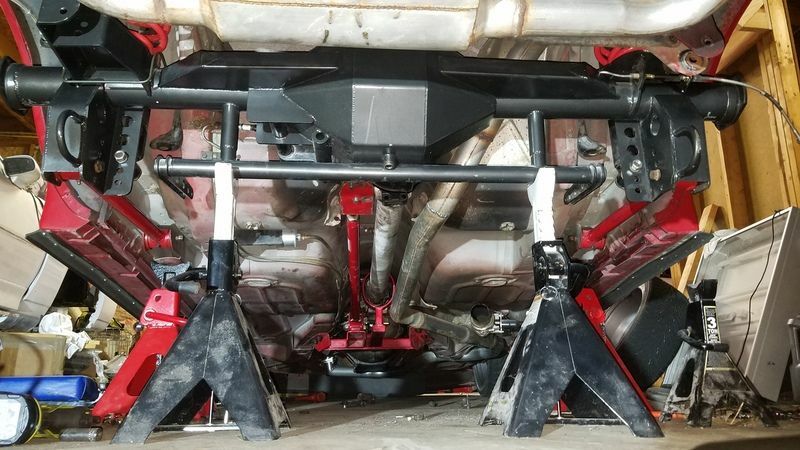 I still have to bolt the mounts back up and reinstall the drivers side header (yeah, thats gotta come out too), but we're on the homeward stretch. With any luck, I should be able to button it up tomorrow, swap the pulleys, finish up some final wiring and get it out of the garage. 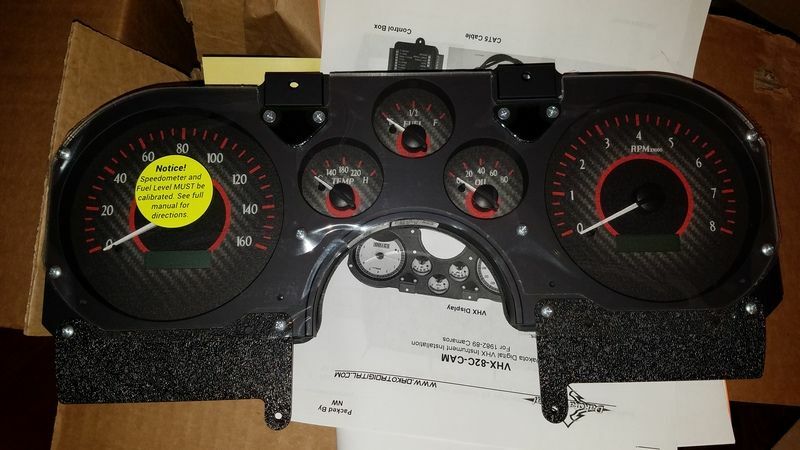 Not sure if I mentioned it, but I have an Intellitronix gauge cluster to install to. Along with that comes removing the speedo cable and some additional wiring. These cars are a pain to work on to begin with. Hate you had that trouble everything was going too perfect I guess. 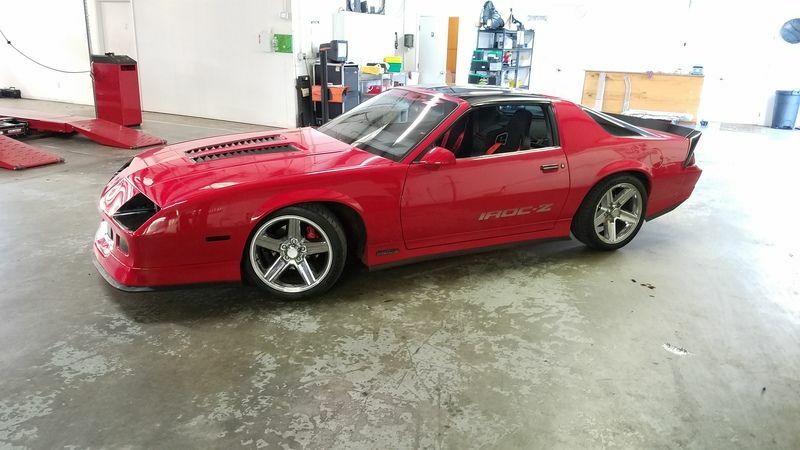 Never does for me.. For about a span of 8-9 years I had G-bodys and old 80s era Chevy trucks because they were so much easier to fool with and I never lost $ on them. Something about these third gens always pulls me back in though I love driving them, they are fun. I guess photobucket may have gone off the rails again, it won't let me upload any photos. In any case, the car is running and driving, I took a short video after I rolled it out of the garage for the first time. 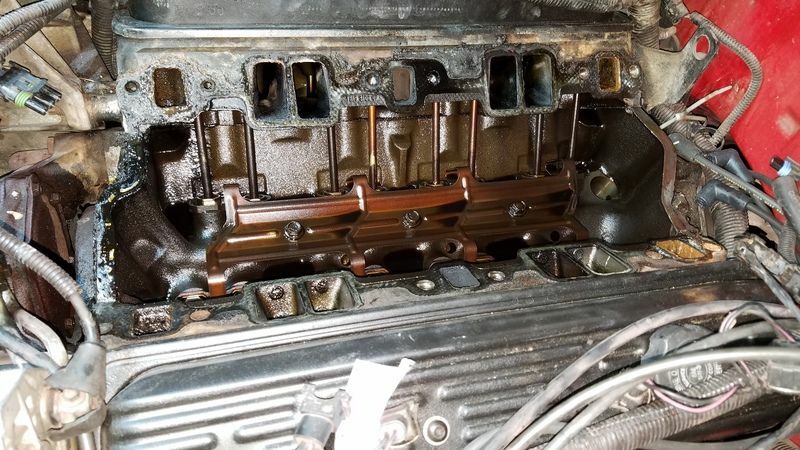 As far as the oil pan goes, 2 rods were touching the crank scraper. 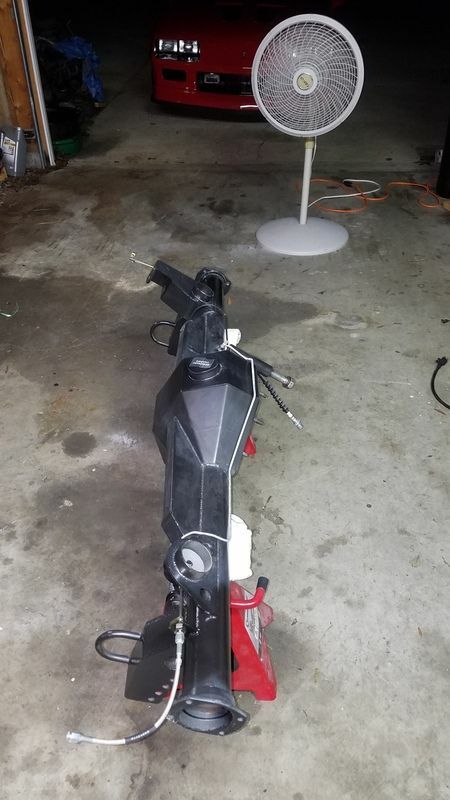 I notched the scraper, reinstalled, and finished up the wiring. 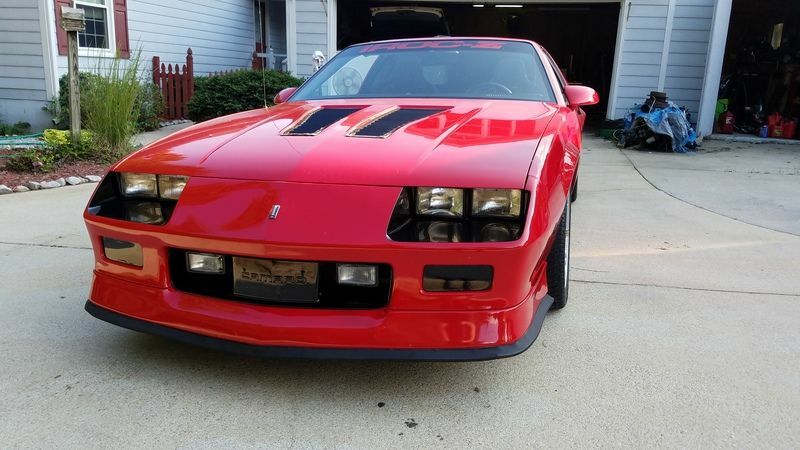 The car sounds absolutely amazing and runs pretty well. There are still a few small issues and loose ends to tie up, but the main chunk of the work is done. A few more updates, I've put a couple hundred miles on the car in the past week-- 3 tanks of gas. It runs phenomenally and really is a pleasure to drive. Hitting the gas is extremely addictive! I do plan on changing the rear gear to something lower, in the 3.20-3.40 range. 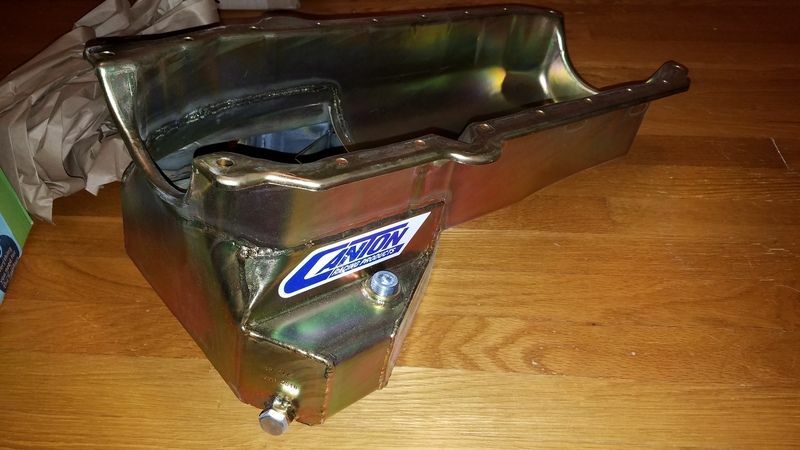 Dyno Dons headers came yesterday, they really look great. 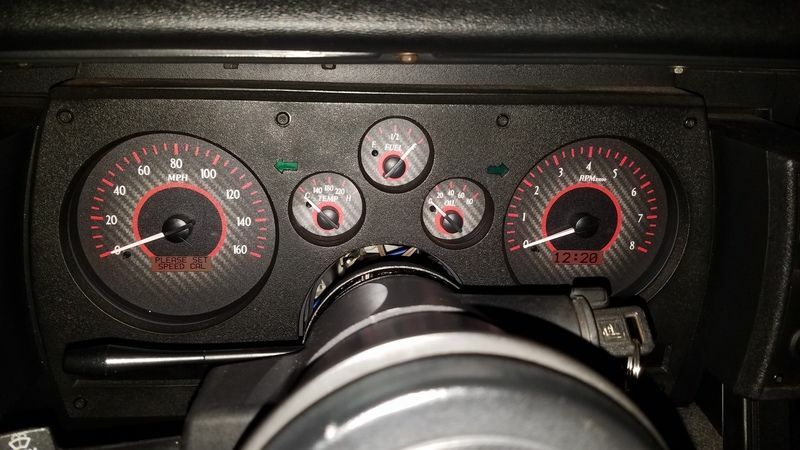 I installed the intellitronix gauges last week, spent a lot of time wiring them up, used gm weather pack connectors, ran some new wires, really made it nice. However, the whole thing is just junk. The only gauge that is accurate is the volt meter. Everything else reads way high. The tach only reads in 100's, and reacts so slow that I'm banging off the chip before it reaches 5000 rpm. I'm taking it out and putting in a Dakota digital vhx cluster. The intellitronix does actually look really nice, I'll give it that, but I really don't feel like screwing with it. 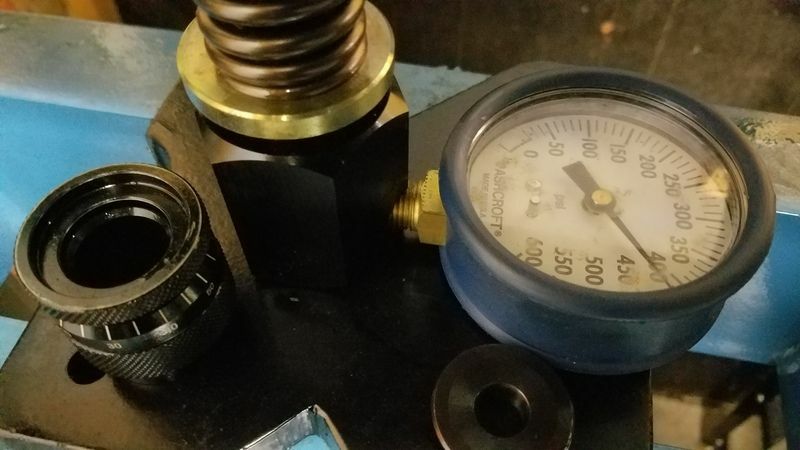 Some pictures of the gauge install and a few from saturdays cars and coffee. Last edited by GTA matt; 12-04-2018 at 12:15 PM. Really not much to update, between the holidays, the weather, starting a new job and driving the car whenever the weather allows, I haven't really done any new work to it. The new gauges came in, hopefully I'll get a chance to get them installed soon. 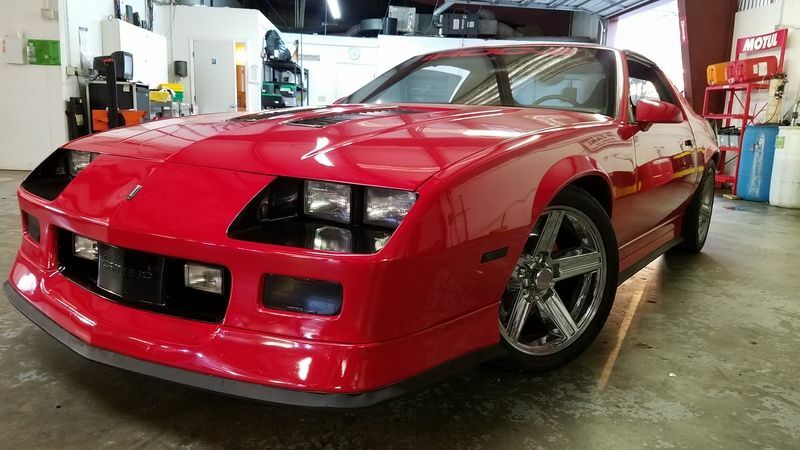 I've put over a thousand miles on the engine and switched it over to synthetic oil, absolutely zero problems with the engine, or anything on the car for that matter. It gets a LOT of attention wherever I go. 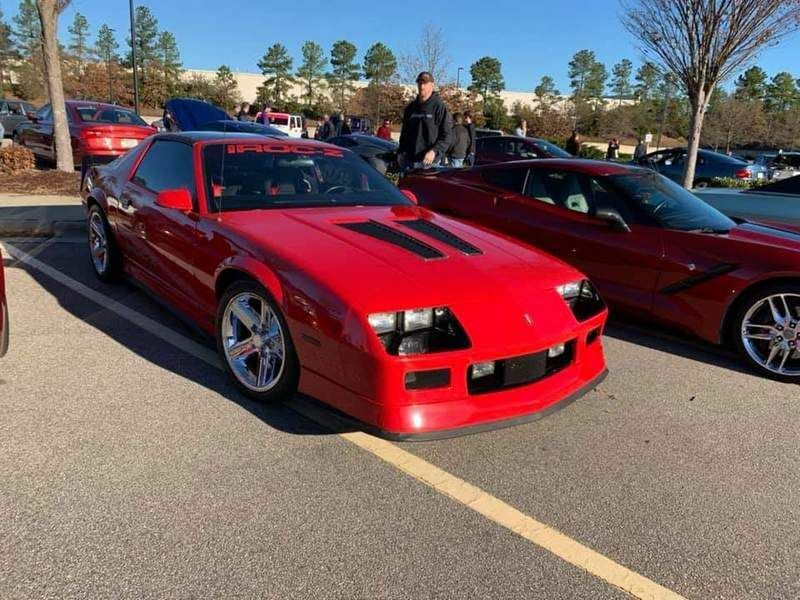 I've taken the car to a few car meets and cars and coffee events. Surprisingly enough, I never take pictures when I'm out with it, but other people sure like taking pictures of it! 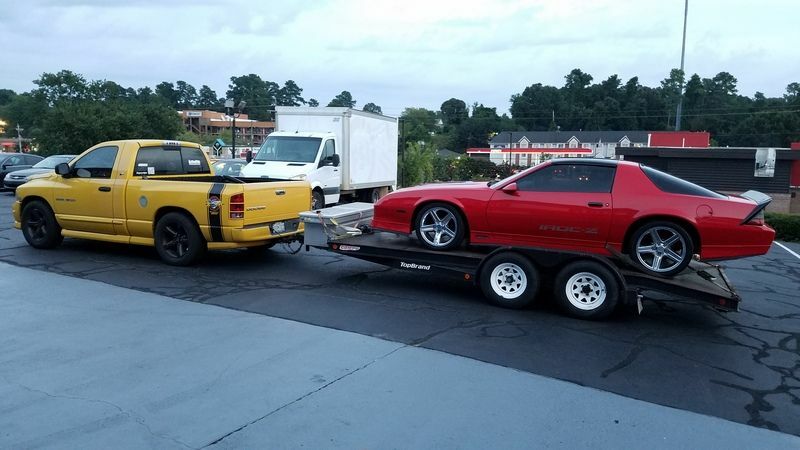 I'm not sure exactly when this one was taken, but that would be me behind the corvette. 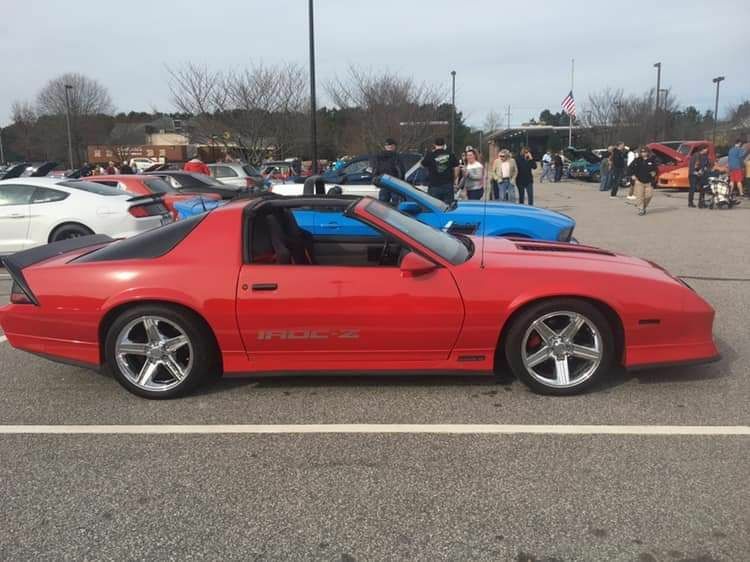 The weather was nice enough on 12/29 to drive around with the t-tops out! man that thing is clean! sounds great too! Great job man. I'd like to comer check it out sometime! Any time man! 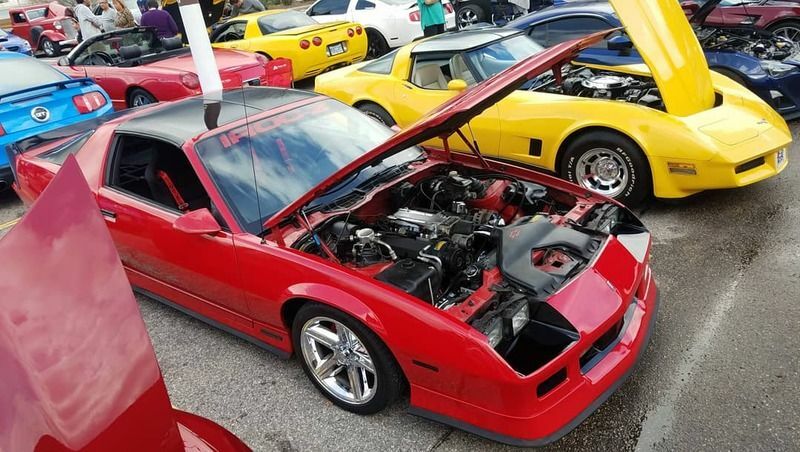 I'm trying to have it back together in time for saturdays Wake Forest c&c but I don't think I'll have all my parts in time. I realized I never weighed the car, I should have when I first brought it home, but somehow it never crossed my mind. Went ahead and scaled it in its current form. Weight is 3341 without me in it. 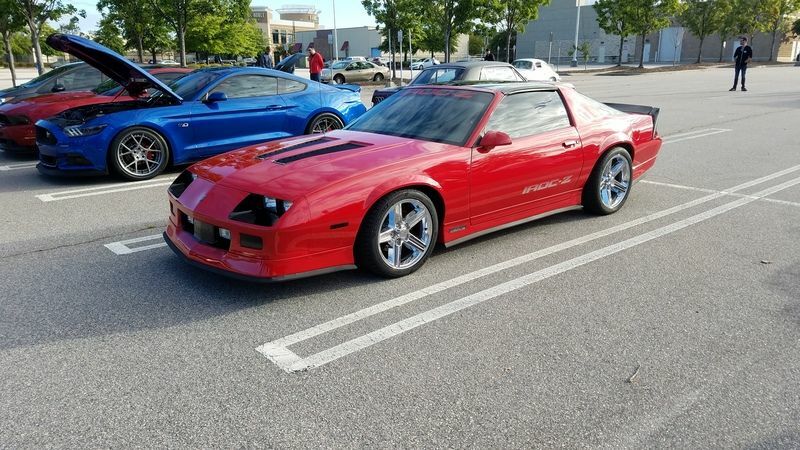 I thought it would be a little lighter, that's about what my GTA weighed completely stock, although I never weighed that on a scale this accurate. 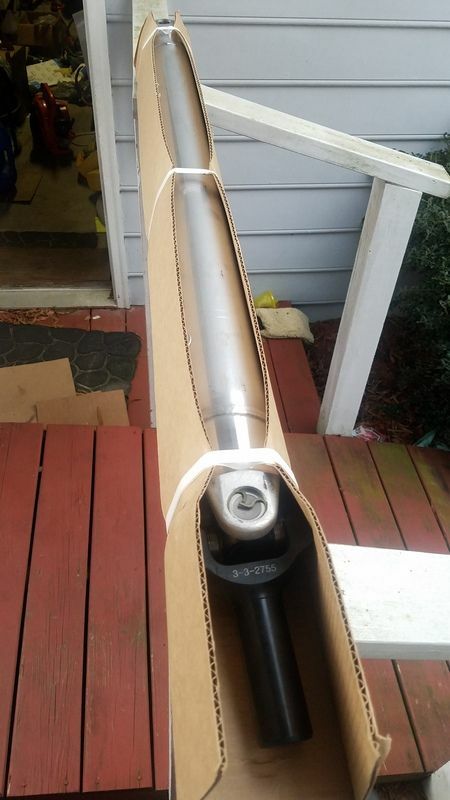 Received a new driveshaft from PST, fit is perfect and it looks like a nice piece. 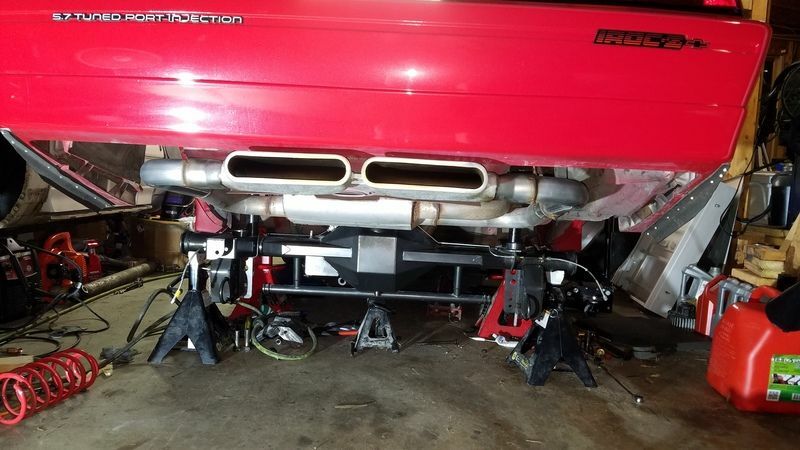 Removed the old headers and installed the Dyno Don's. 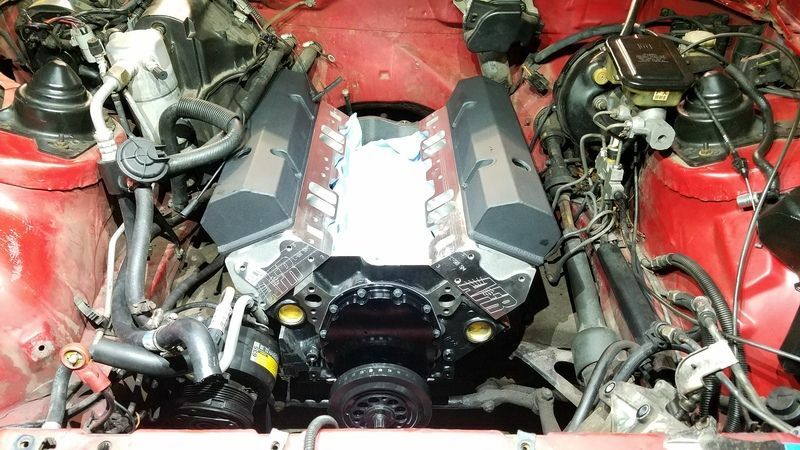 Fit is perfect, both headers installed from the top, didn't even have to remove the starter. 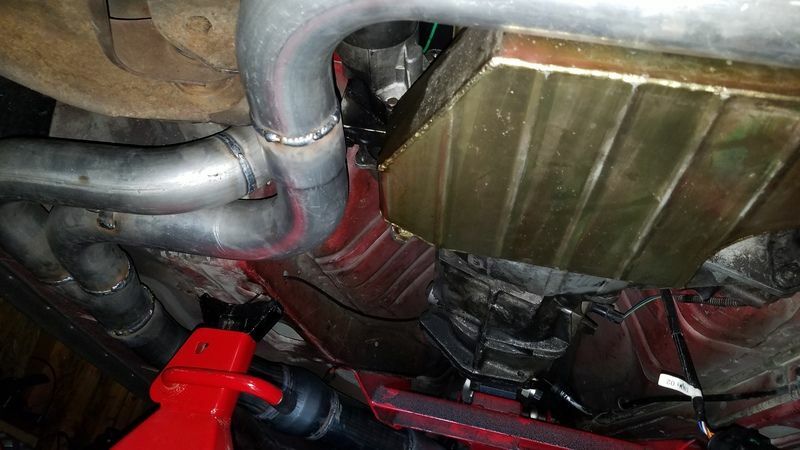 Y-pipe fits around the kickouts on the oil pan. I'll get some better pictures once everything is fully installed. 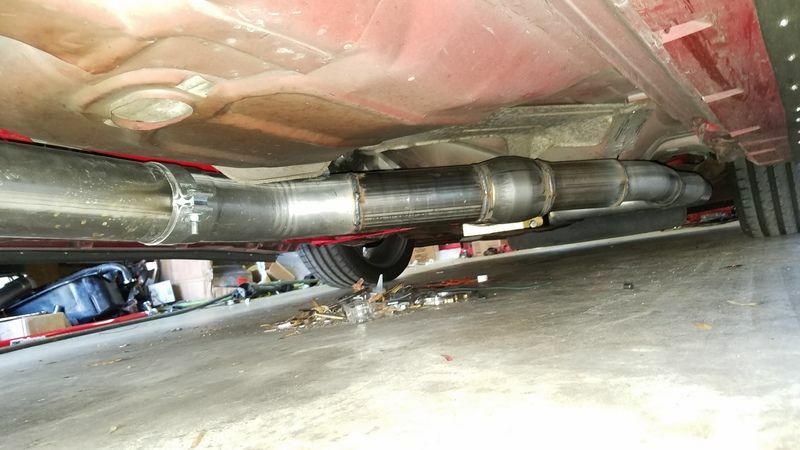 I ordered a 4" spintech exhaust system. 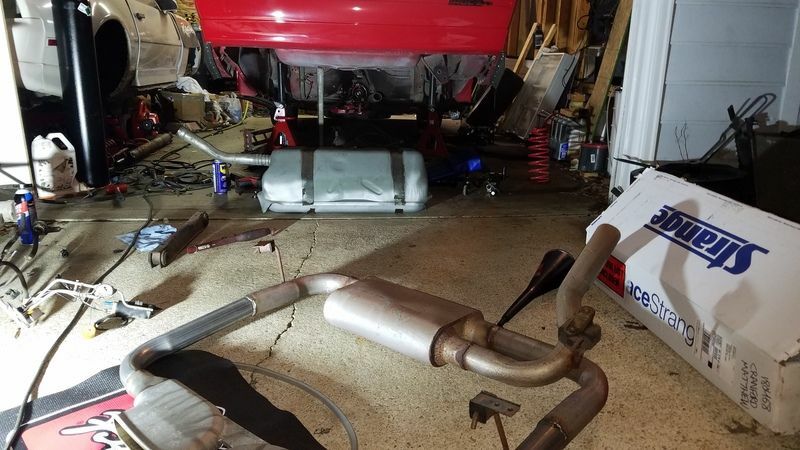 All the pipes came, but I am still waiting on the muffler (4" inlet, dual 3" outlet). 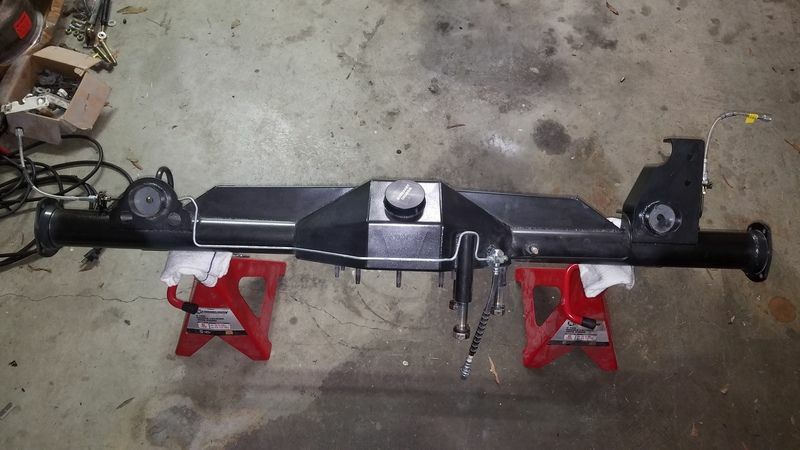 I bought a UMI panhard bar drop bracket kit for the exhaust to clear. Also got a UMI strut tower brace. 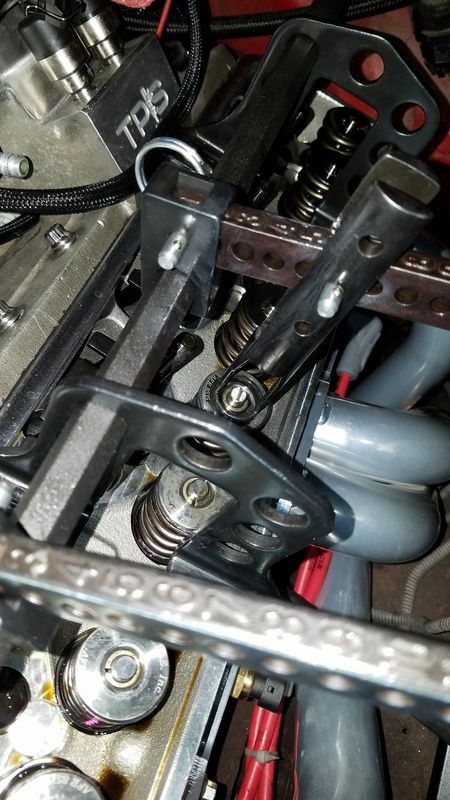 One thing that has been missing from my build so far has been subframe connectors. 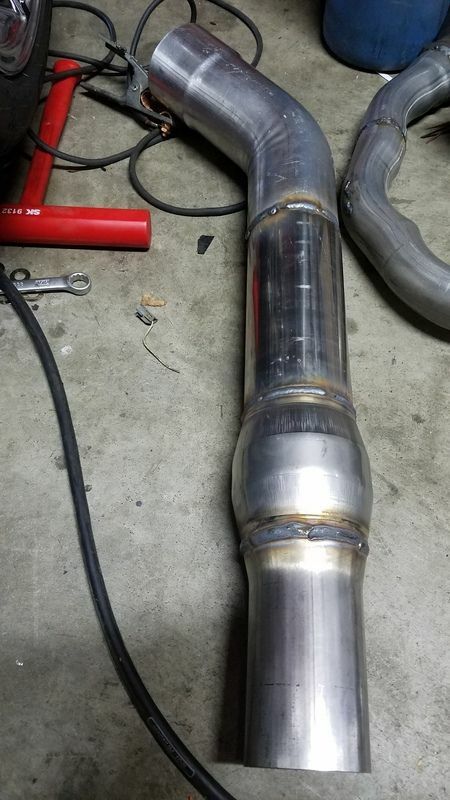 I've been waiting to finish the exhaust before I decide what route to take. I'll probably make my own. 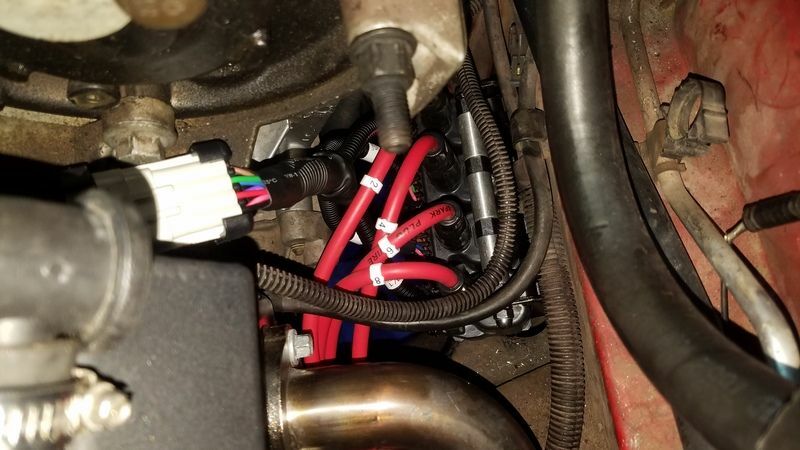 I really like the competition engineering connectors I put on my GTA, but they won't work with my exhaust. The strut brace is actually made for LS swaps. I figured it would fit fine with the mini ram, pictured is just test fitting, it will work out perfect. 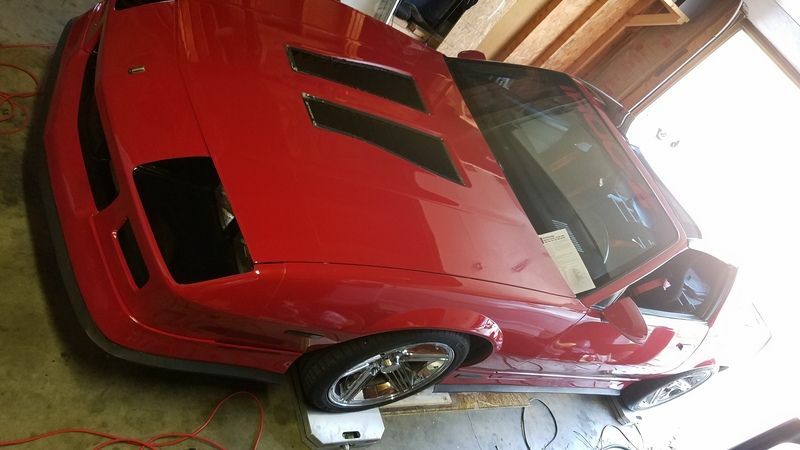 first off very nice job on the car man..i am very interested in the ecm swap an wiring u have done.could u go in to detail about what u did or point me in the right direction. The ecm wiring is pretty straightforward. I used the Fitech 70050 kit. It has some main battery power wires, ground wires, key on, fans, ac, tach, things like that you need to wire up. The main harness reaches the original ecm location under the dash,so I was able to mount it up out of the way. I had to swap the coil and injector control wires on 7&4 and 2&3 to account for the different firing order. It was necessary to shorten or lengthen some wires to reach their proper location. I had to re-pin the terminals on the cam and crank sensors since the L31 and Ls1 have b+, ground and signal in different locations. 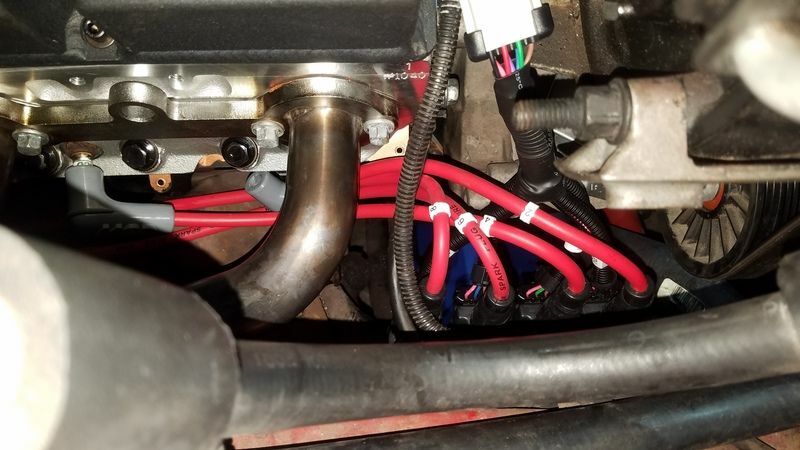 The original ecm and body harness are all together in one harness, along with other wires you need to keep, like the starter solenoid wire, ac controls, wipers. and probably a few others I'm forgetting. I re-purposed as many wires as I could at the c100 bulkhead connector for wiring I needed to pass through the firewall so I didn't need to add any holes to the firewall. It was a fair amount of work to keep everything neat and factory appearing, but more just tedious and time consuming then difficult. Damn, that's a lot lighter than I would have expected. A few things to update, had some issues that kept me from driving, more on that later. I didn't mention it in my last update, as I wanted to make sure everything would work out correctly. 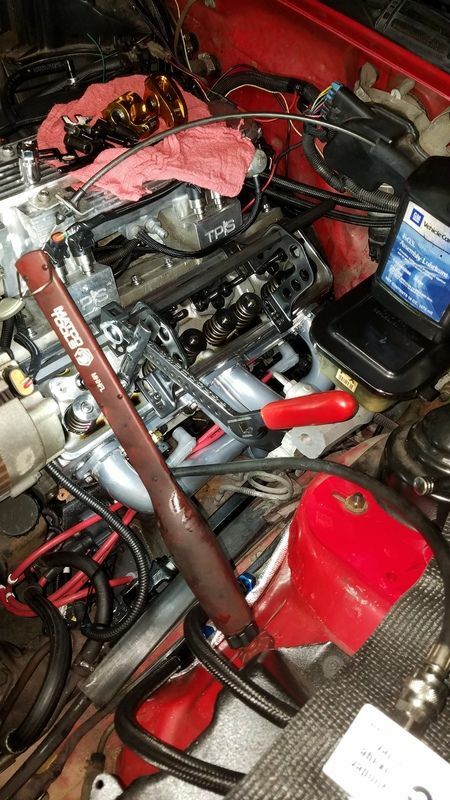 I've been using the same set of L31 ACdelco MLS exhaust manifold gaskets for the past 15 years. 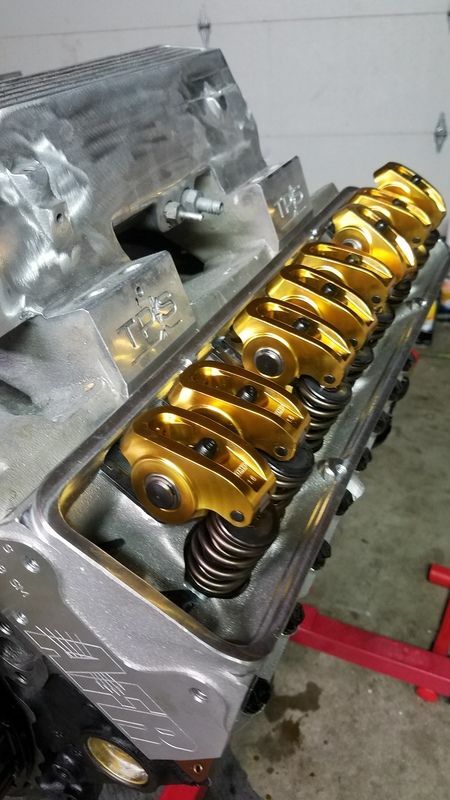 Multiple cylinder heads, a few sets of headers, on and off dozens of times, no issues. 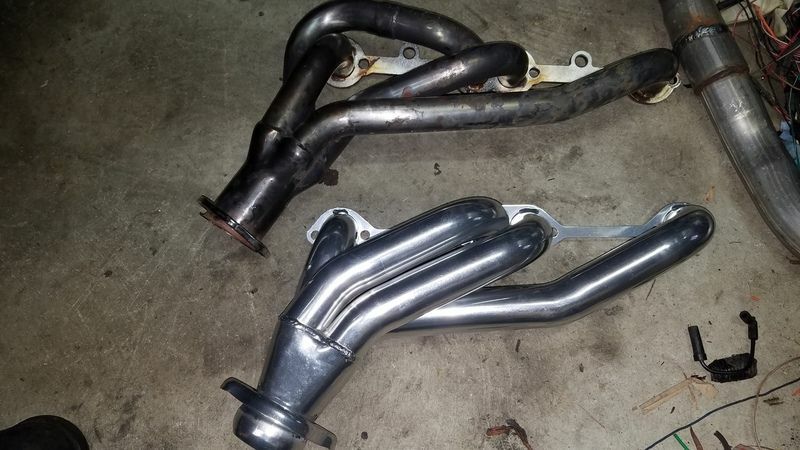 However, they didn't line up with the flanges on these new headers. 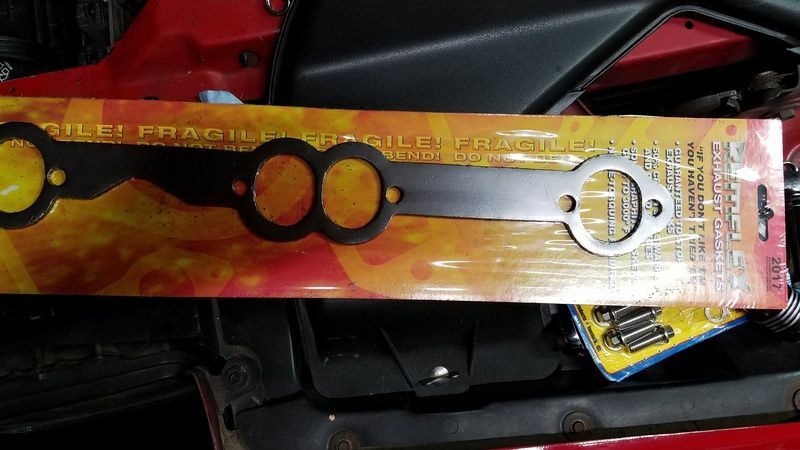 So I had to scramble to find a set of header gaskets, something that hasn't even crossed my mind once in these 15 years. 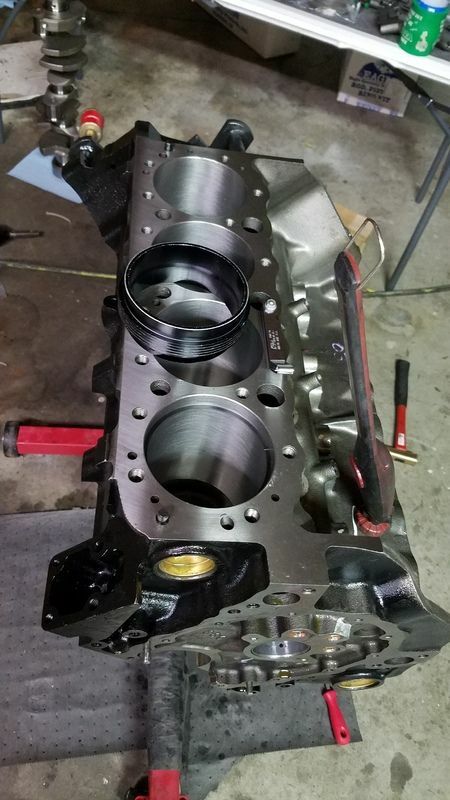 The gaskets that Don recommended were too small for the exhaust ports on my cylinder heads. I saw a few posts recommending remflex gaskets, but the part number listed was again too small of a port. I searched the Remflex website and found part # 2017 and they fit absolutely perfect. 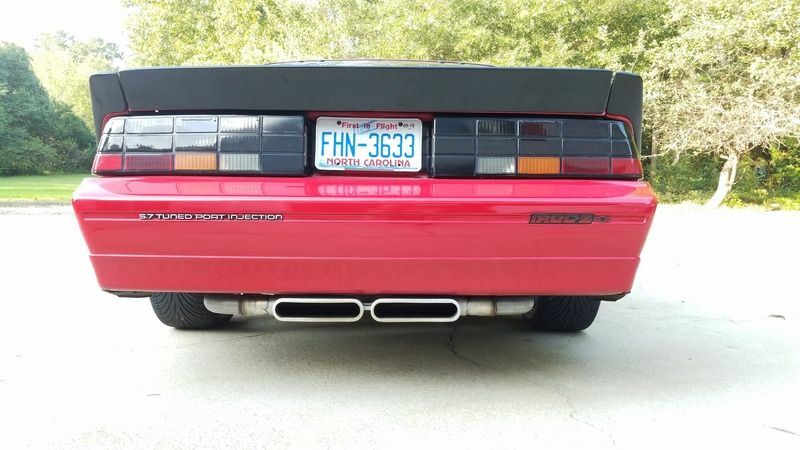 The exhaust is actually a bit quieter at idle, a much deeper tone, and has a lot better sound when revved up then before. 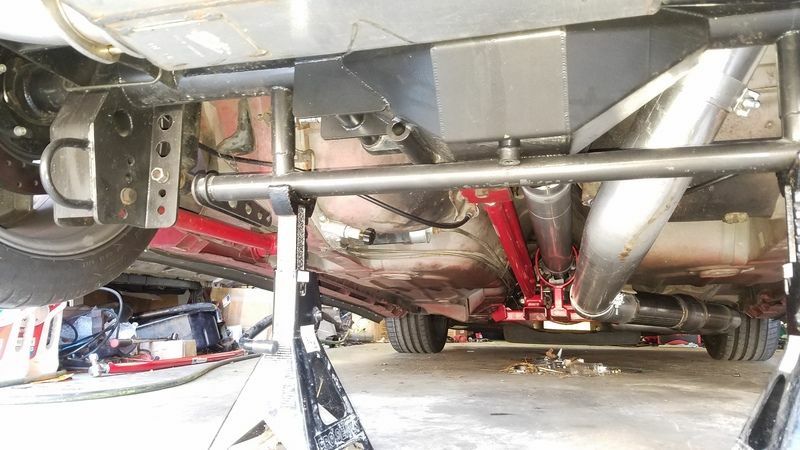 The old exhaust was terribly restrictive, from the headers, 2" 'y-pipe' (there was no y, just both headers dumping into the same 2" pipe...) and muffler shop bent up 2.5" pipe to the muffler. 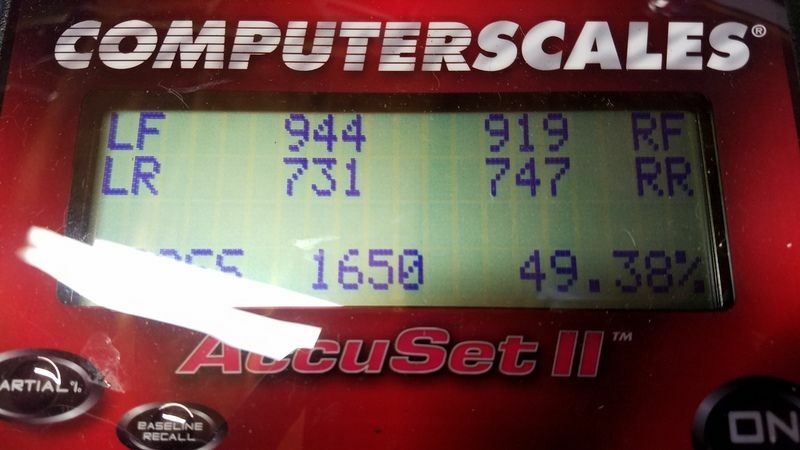 Just revving it on jackstands I had to add 15% more AE to the tune to get it to rev cleanly! I'm real excited to get it on the road. Now for the problem I ran into, since nothing on this car has gone easy, why start now? This is in no way meant to bash Don or his headers, I understand stuff happens. I had a pretty significant exhaust leak from the passenger side header. It was leaking where the primaries went into the merge. I pulled it off, sprayed it with soapy water, then hit it with compressed air and found several leaks at the merge. 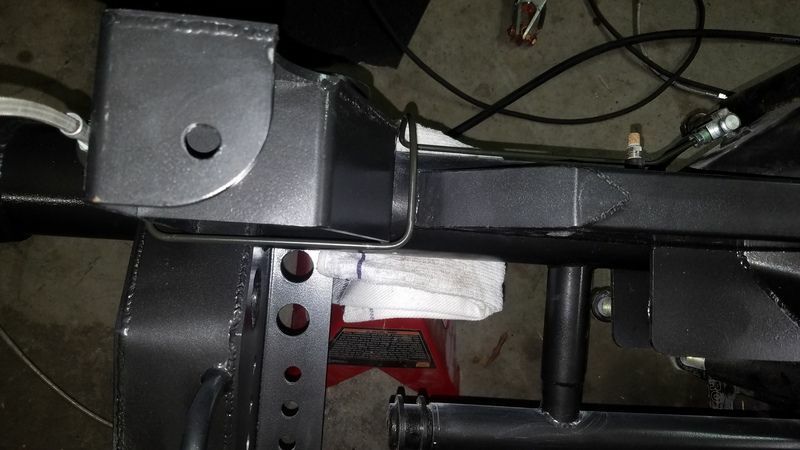 I was able to get it welded up, not a huge ordeal, but it was a mild setback. 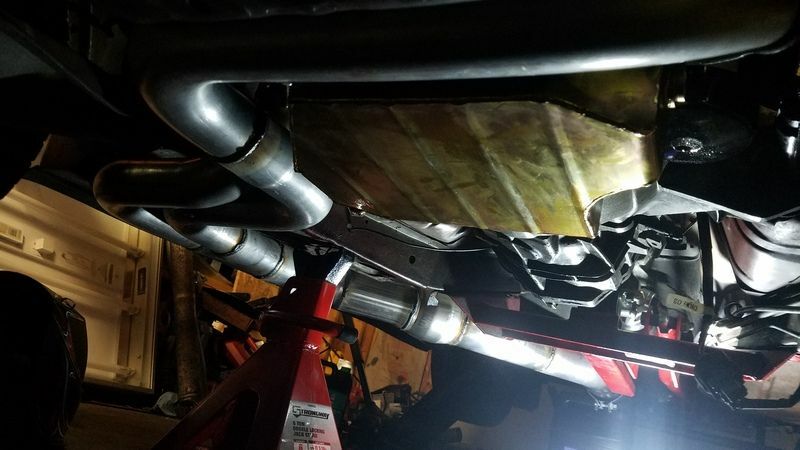 I know for guys that can't weld, or who are on a time crunch, or who may have mistaken it for a leak at the flange and spent a lot of time trying to fix it, it could have been a pretty big deal. Otherwise, I have zero complaints with the parts. Coming along very nicely, that exhaust looks and sounds great! Is that the 6000 Pro Street, if you don't mind me asking? 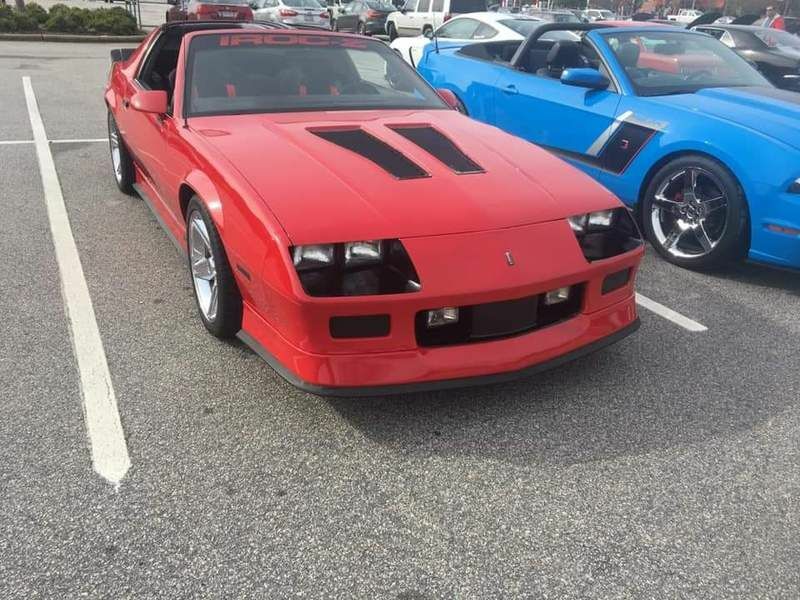 I was thinking of getting the 9000 but heard it's obnoxious, and yours sounds just right. 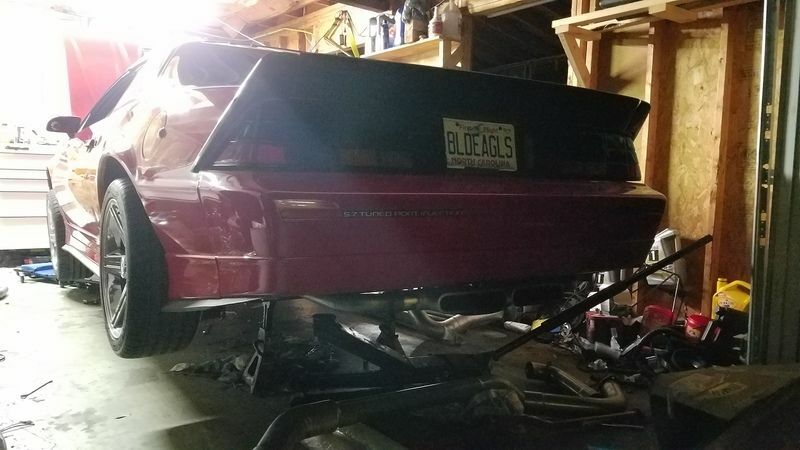 Great progress, glad to see it coming along so nicely (besides some typical "project" car problems). Not really sure, whatever their 'race series' is. It really does have a great sound. I haven't driven it yet, but just revving it up in the garage, it had no unwanted characteristics. I'm sure it will scream under throttle, but hopefully no droning while cruising. I always seem to only be reporting problems with this car. Not sure why it turns out this way, I'm actually not even upset or frustrated with it, just things happen and I get to learn from it. 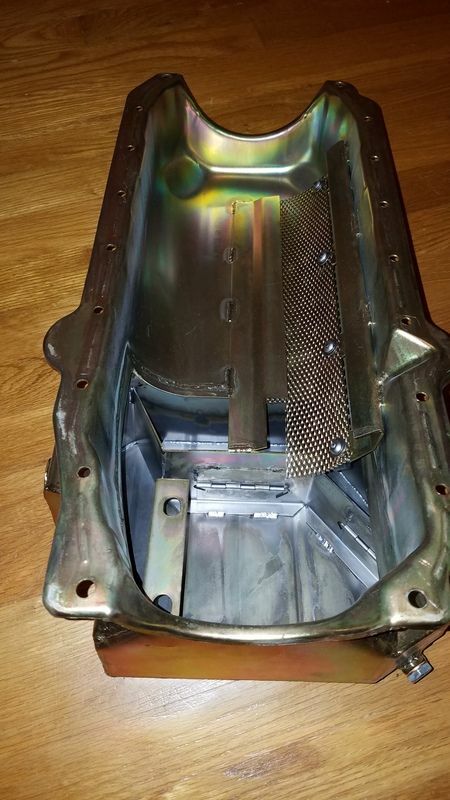 The latest round: in order to install the spintech exhaust, they want you to remove all the fuel tank heat shields. The over axle pipe is EXTREMELY close to the gas tank, plus you have the heat coming off the muffler. I found there is a ton of pressure building up inside the tank, and I can hear the fuel bubbling inside after driving for a while. 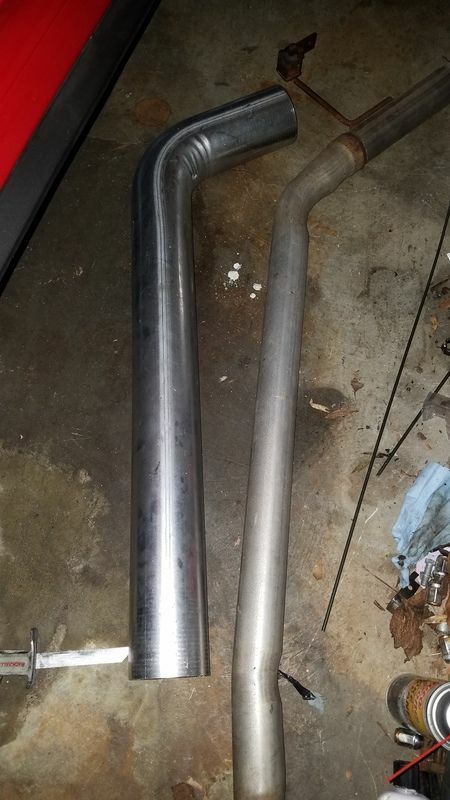 I've ordered some header wrap that I'm going to use on the over axle pipe, as well as some insulation for the gas tank. Hopefully that will solve the problem. Next problem: since I finally have a good flowing exhaust, I can start fine tuning the fuel and spark. 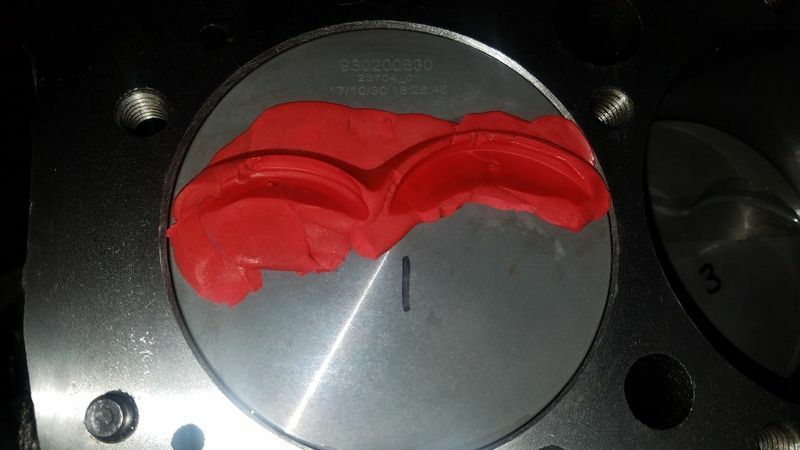 It's getting what I can only assume is valve float above 5000 rpm. I ordered the heads with a smaller cam in mind, but even so, I never thought twice about the springs that came with the heads. 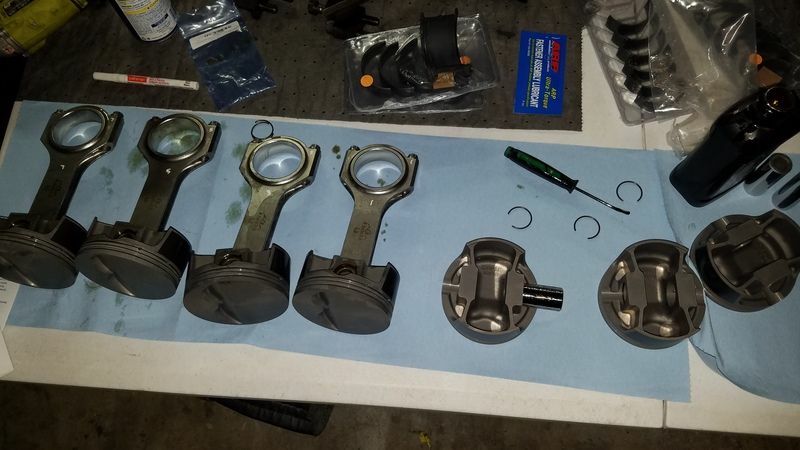 I ran these same heads with a cam that had the same lift, but 20 degrees less duration, and never had a problem up to 6500 rpm. 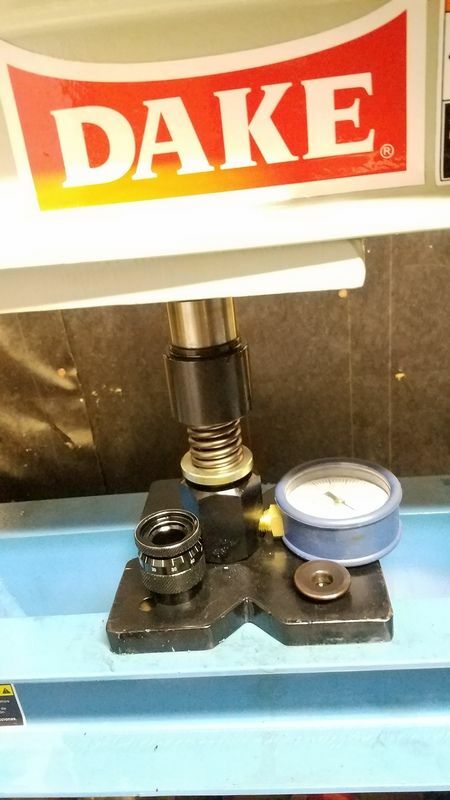 The open spring pressure is 50 pounds less then what comp recommends for the cam, so I'm going with their recommended spring. The only other variable I can think of is the lifters 'pumping up' at higher rpms. 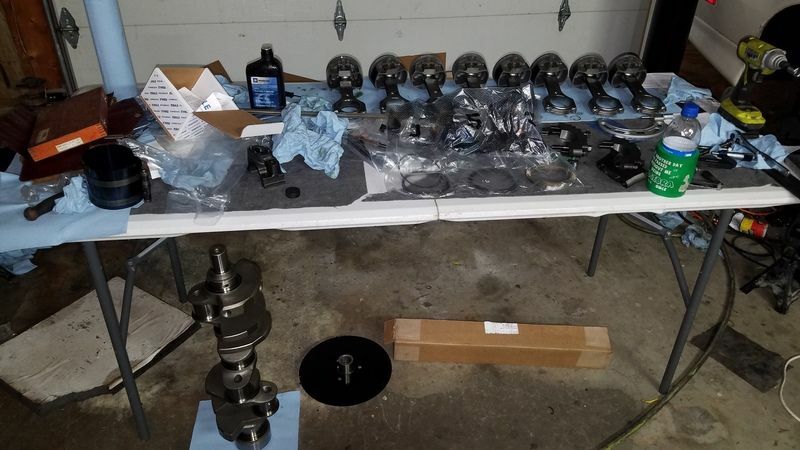 But again, I ran 100,000 mile lifters with these heads before with no issues, and this time around I have brand new lifters. I've gone ahead and ordered new Johnson lifters, new valve springs with titanium retainers, and a stud girdle for the rockers. 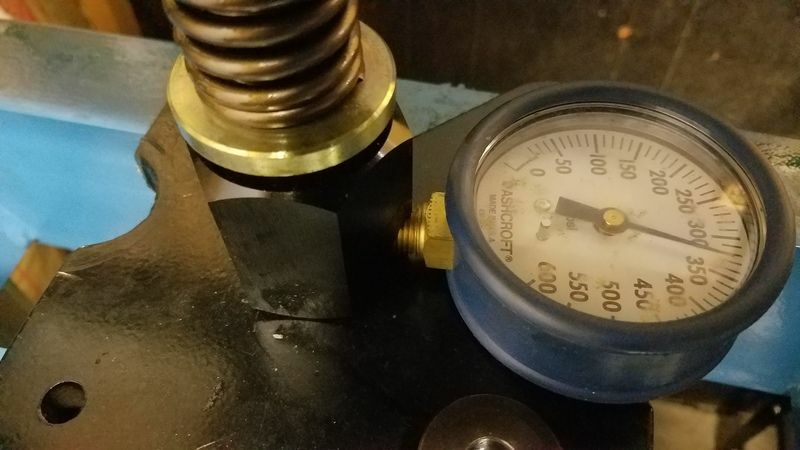 With the increased spring pressure, I don't want any more issues popping up. 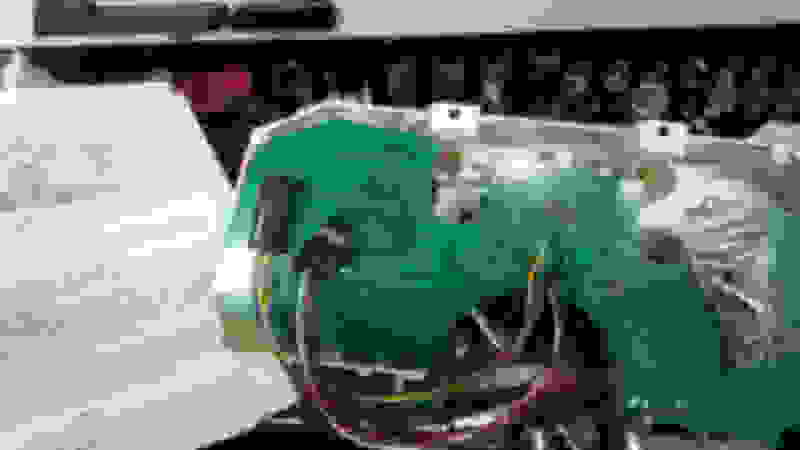 I need to pull the intake anyhow to drill it for my map sensor, so the lifter install isn't a big deal, other then the cost. In other news, the pinion nut on my truck decided to take a nice vacation, so while I was at my gear supplier getting parts, I picked up a set of 3.25's for the car. 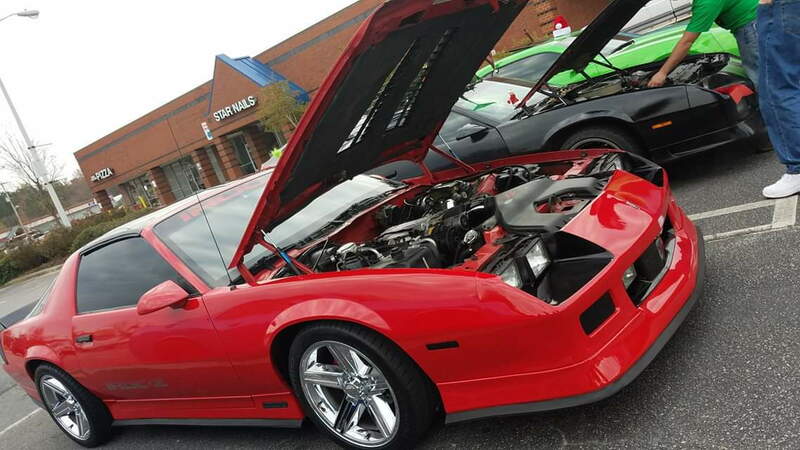 With the 3.70's, 2400 rpm's for 30 minutes straight while driving into Raleigh will make you go tone deaf pretty quick. Also, first gear is fairly useless. Once the valvetrain problems are behind me, I'll be getting it dyno'd. But she sure looks good! I guess your "not a project" was sarcasm? nice build up! I said it a little tongue in cheek, but I didn't expect it to snowball this big, this fast. Valve springs are installed, stud girdle came in from AFR, but I am still waiting on the lifters. 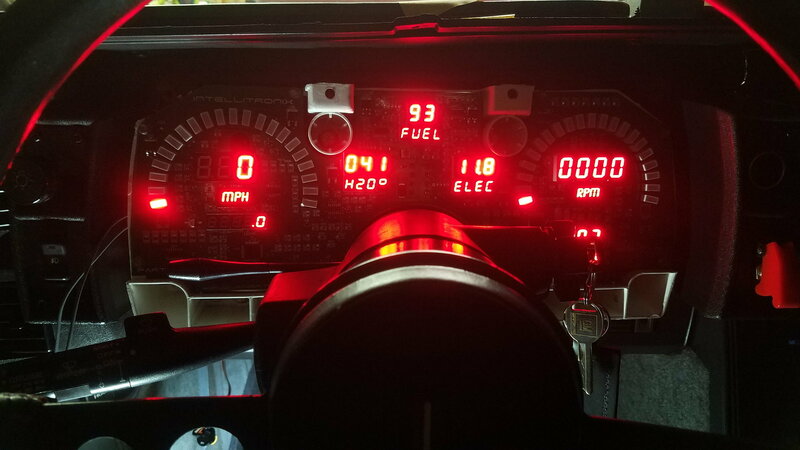 I also got the gauge cluster installed, which went smoothly, and hopefully will function as good as it looks. In other news, I've been back and forth with myself over what to do about the T5 transmission. It's only a matter of time, or 1 clutch drop away from breaking. I do have a spare used one in my garage. My original plan was to rebuild it with a g-force gearset. However, I recently heard how loud the g-force transmissions whine and it was not something I wanted in a street car. I'd also be in the transmission for about 2k with the cost of the parts, and at the end of the day, its still a T5. Soooooo I'm ordering a new T56 magnum. Way over any budget I set for myself, but it will be nice to have confidence to beat on it without fear of breaking something.